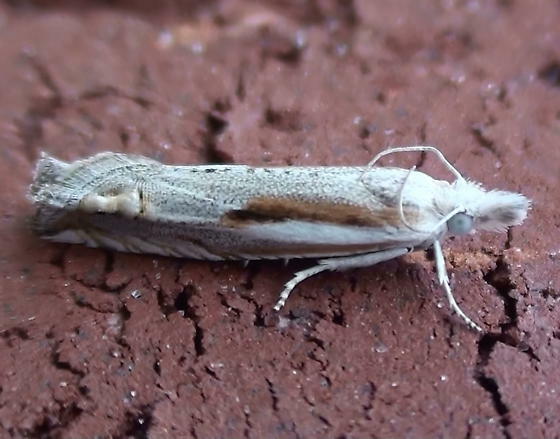 These images introduce selected examples of our local Thyatirid and Scoopwing Moths (Families Depranidae and Uraniidae). 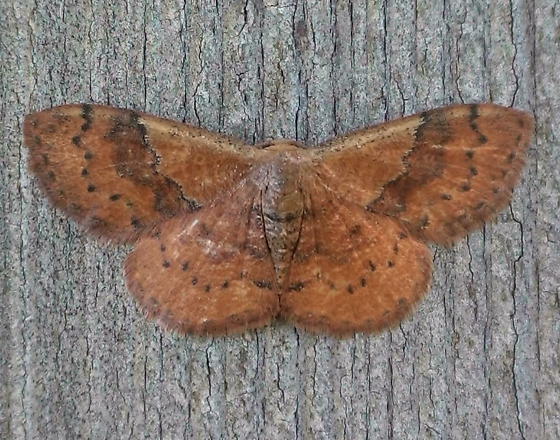 The four images shown here represent three genera and three different species of moths. 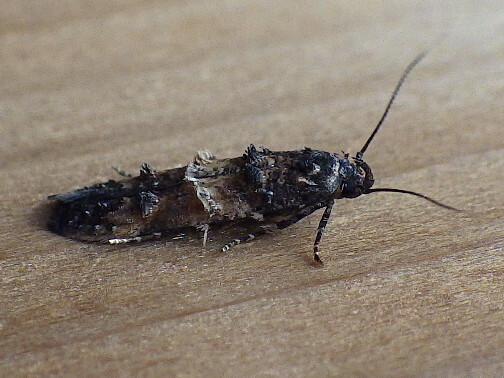 These specimens were found and photographed in northeastern North Dakota. 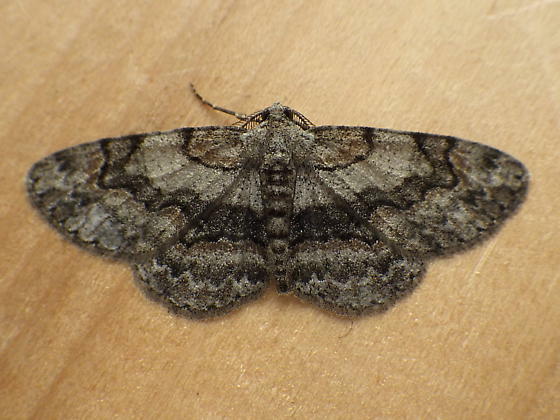 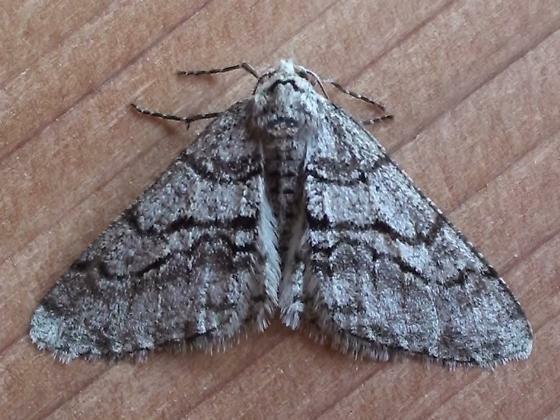 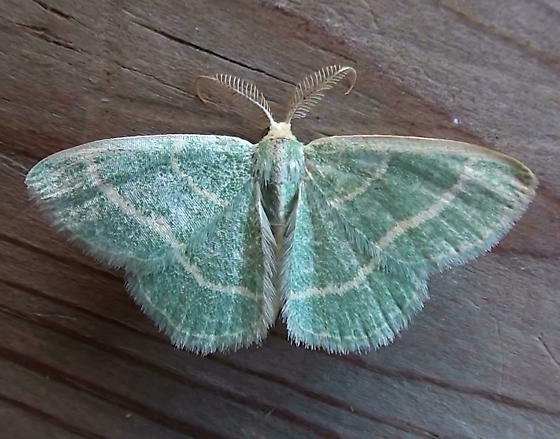 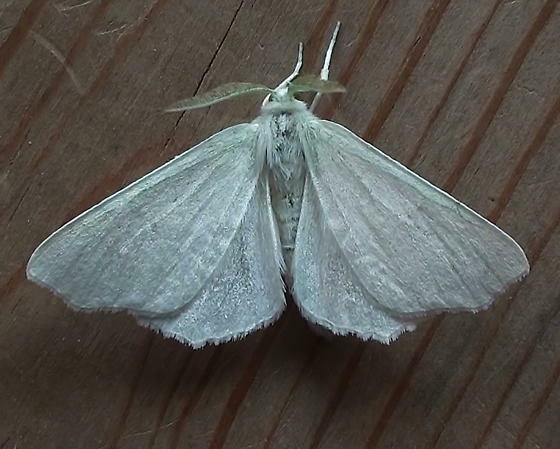 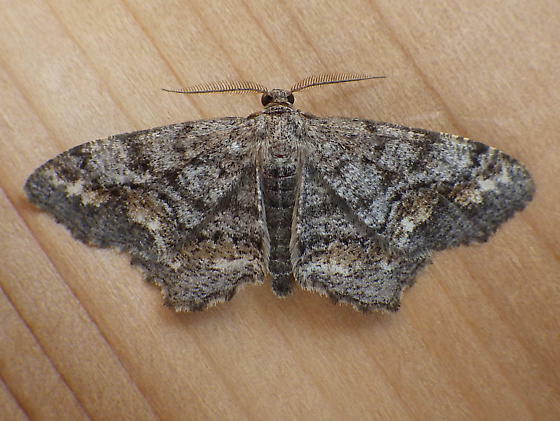 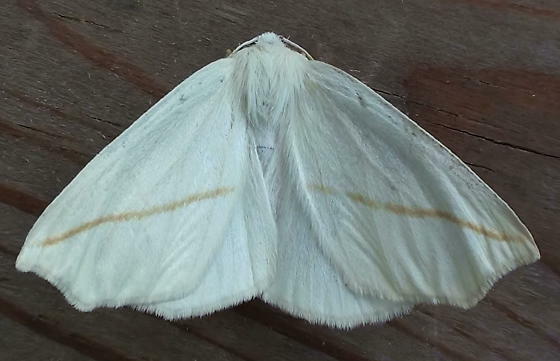 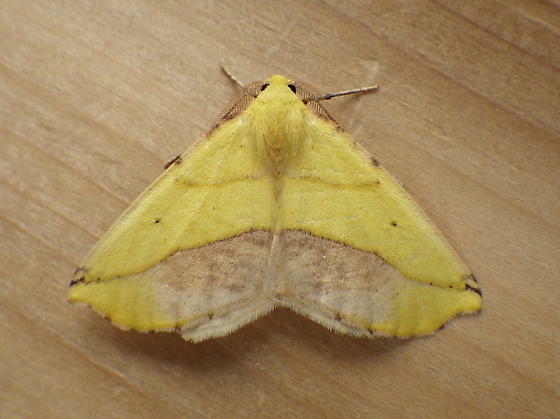 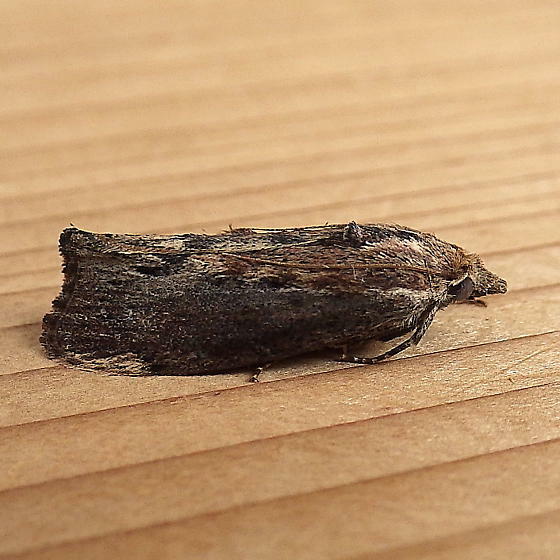 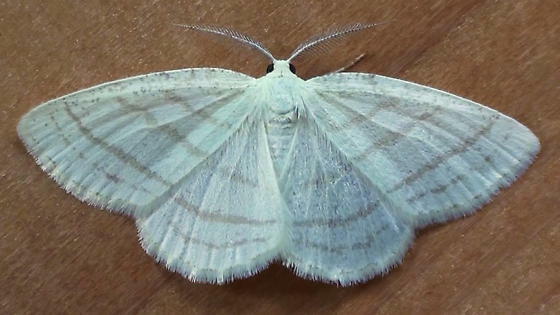 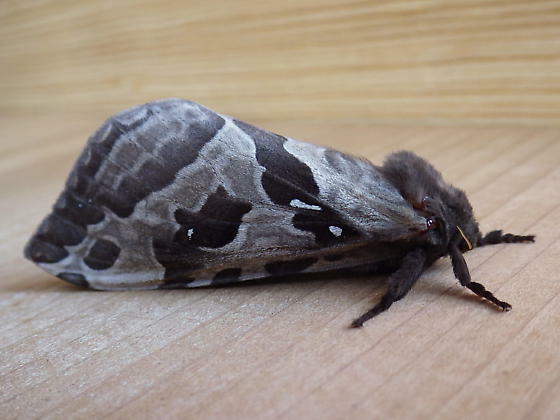 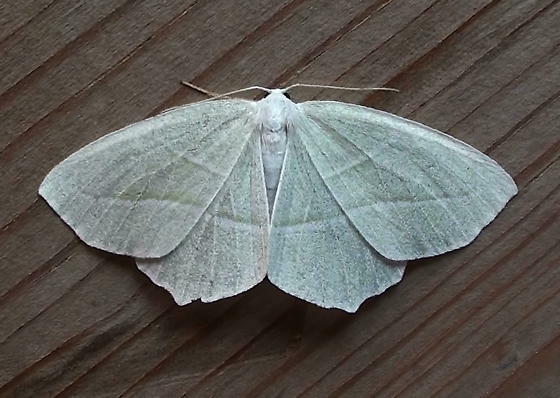 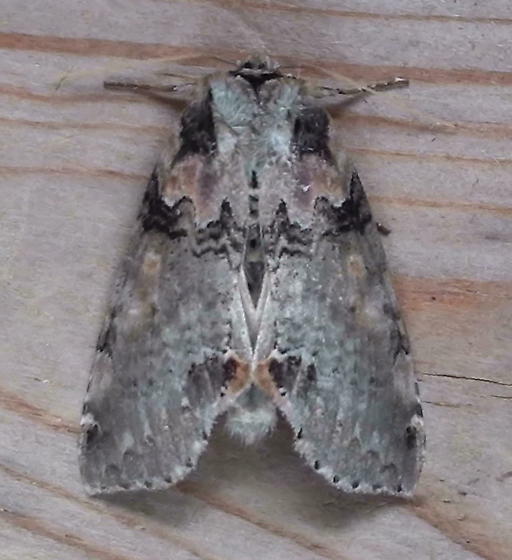 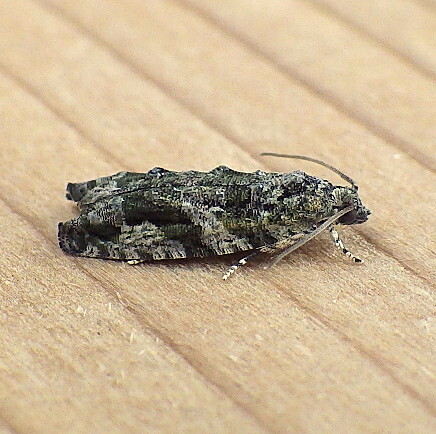 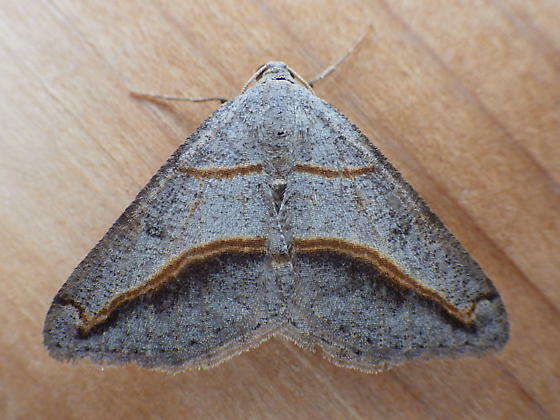 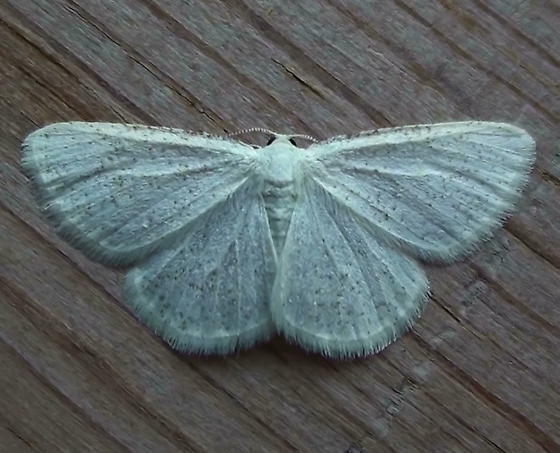 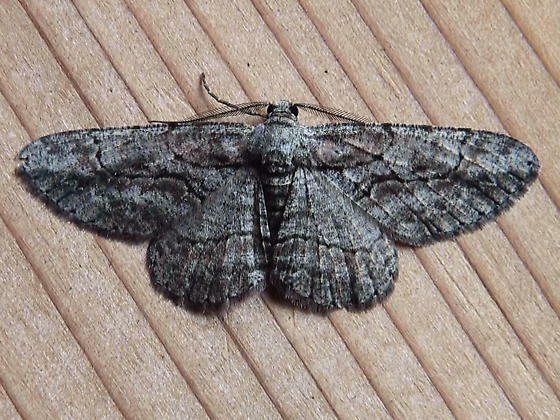 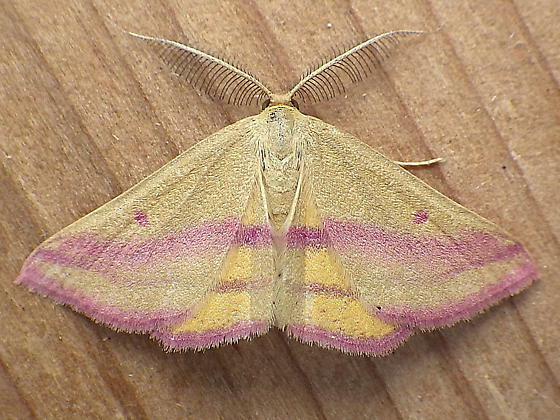 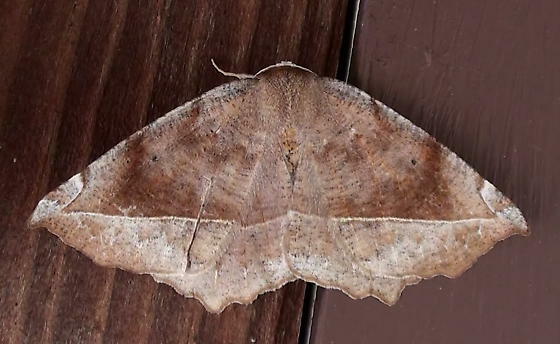 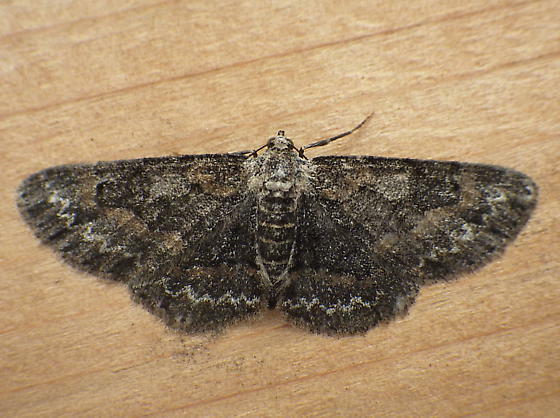 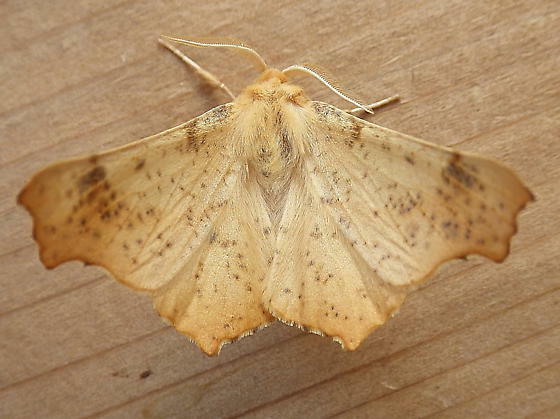 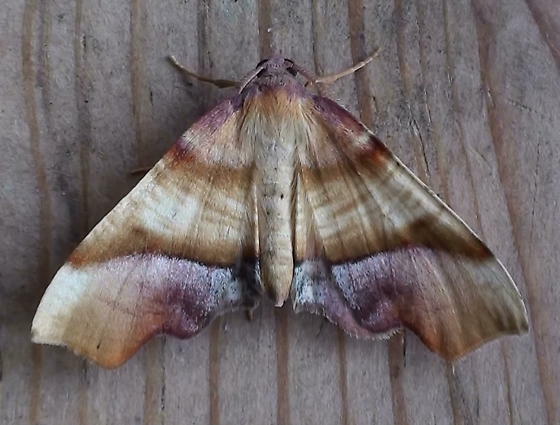 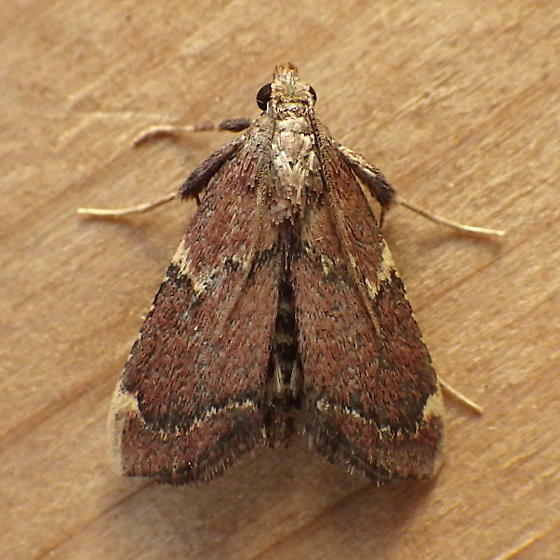 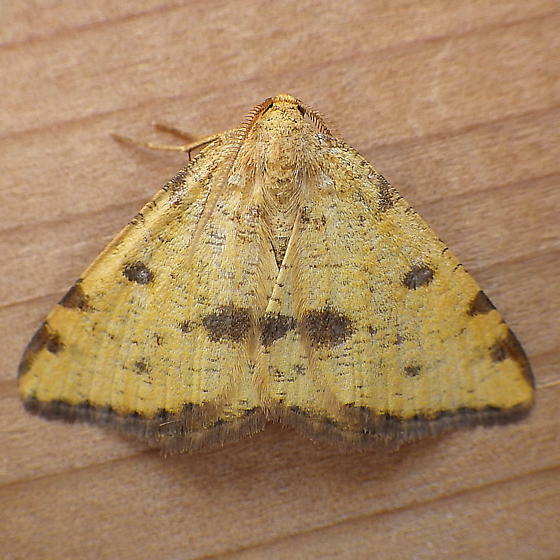 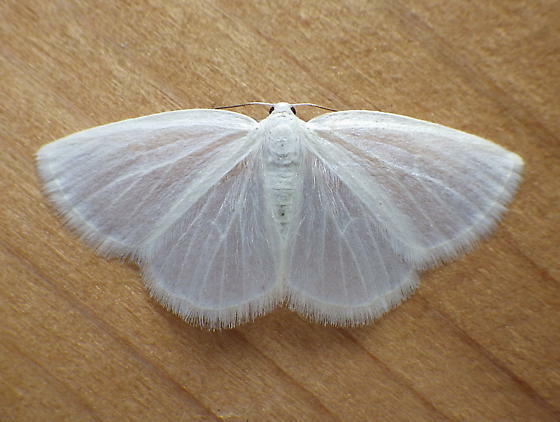 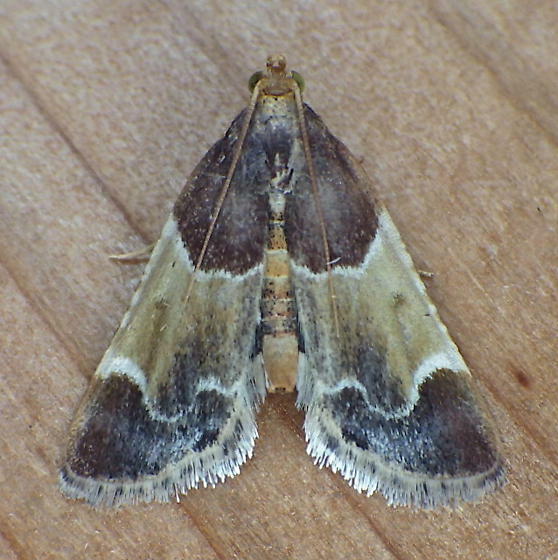 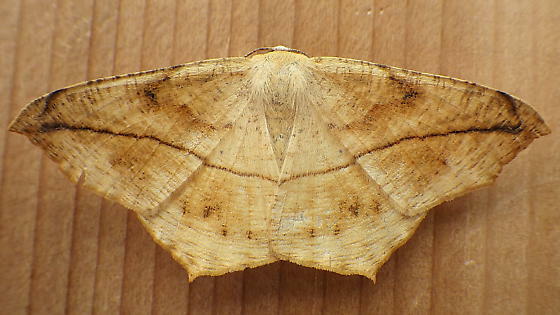 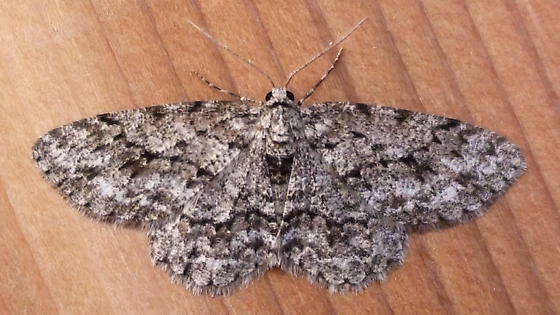 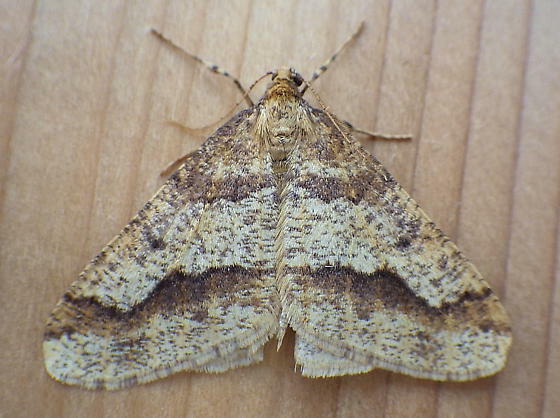 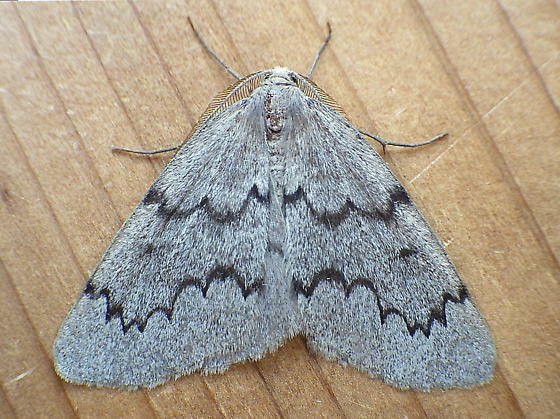 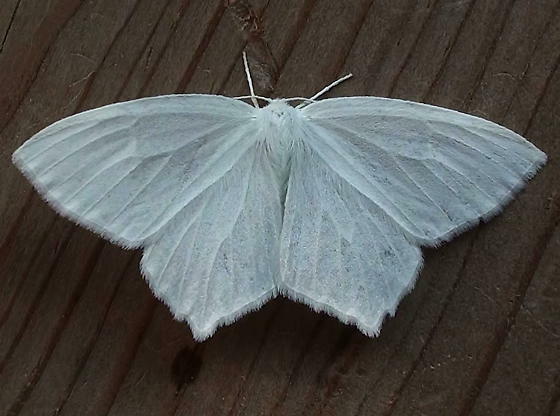 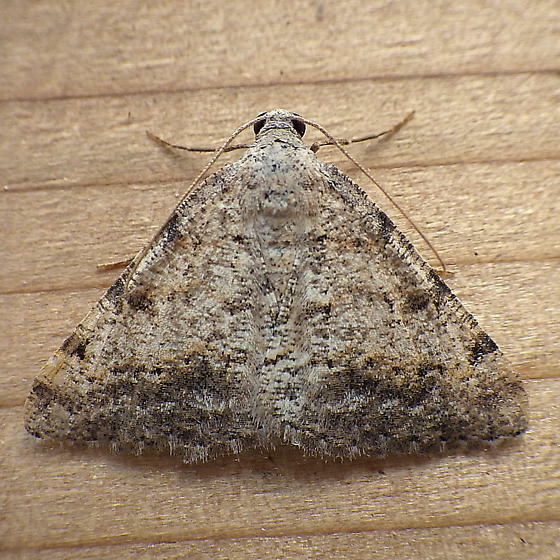 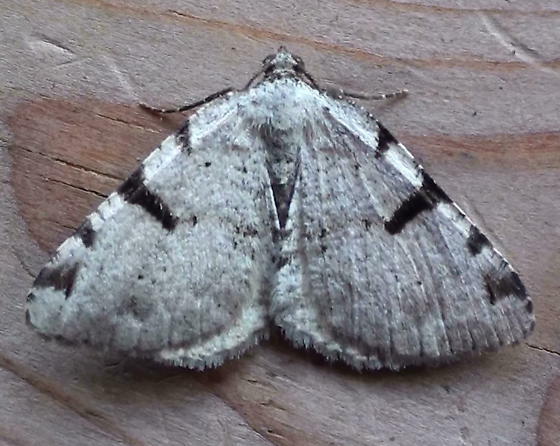 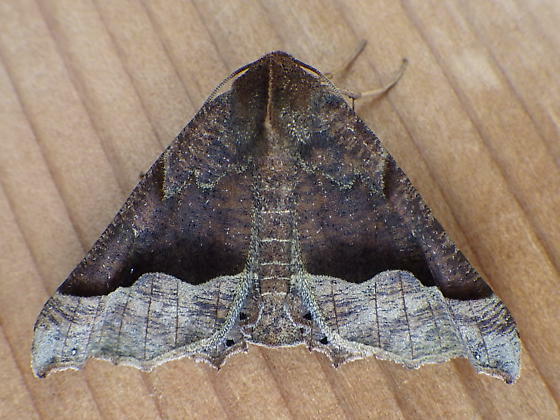 Once you know where to look in the field guide, these moths are not difficult to identify. 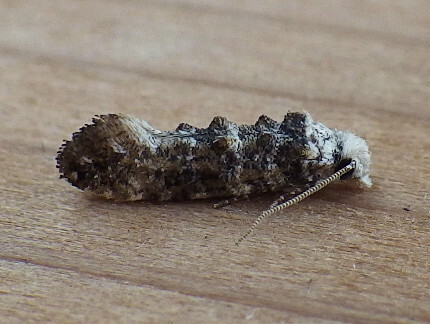 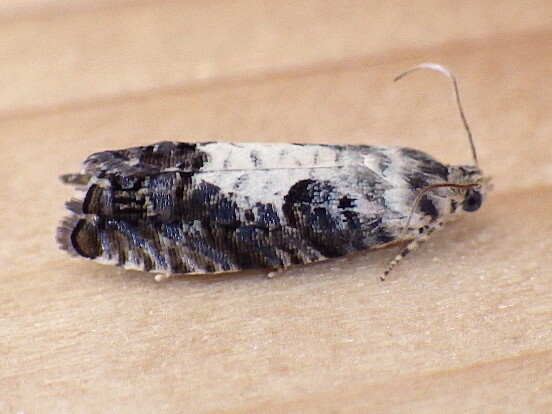 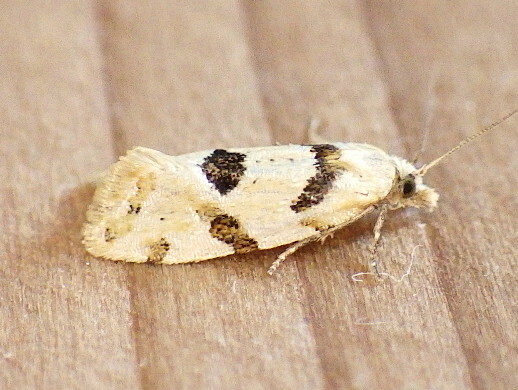 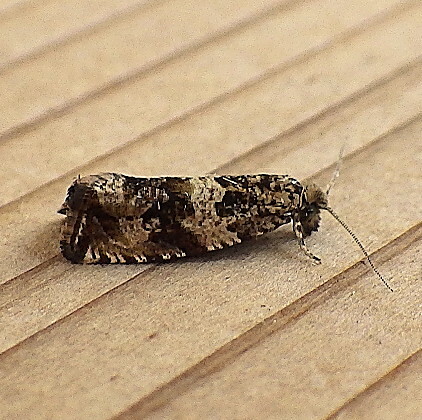 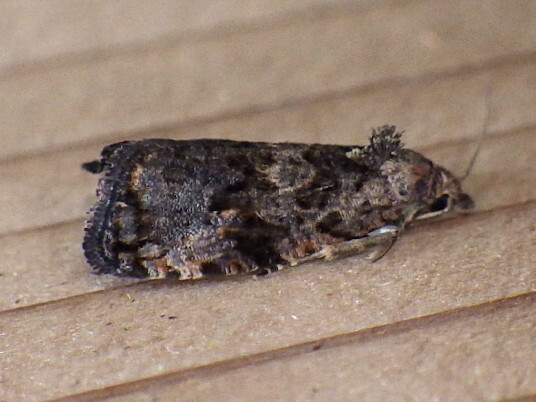 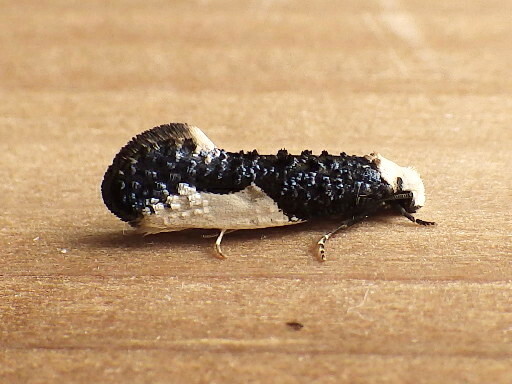 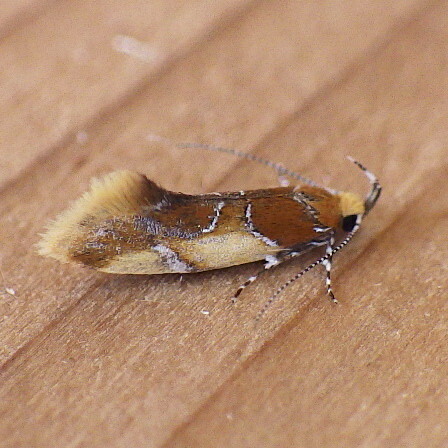 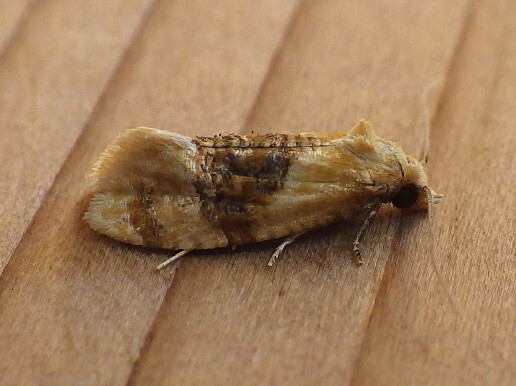 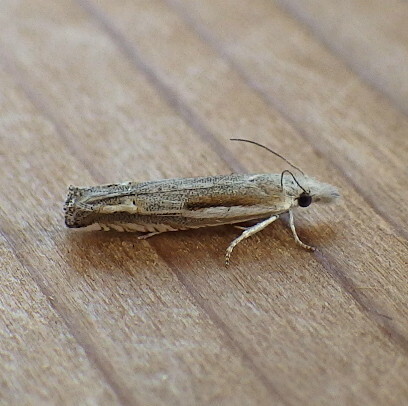 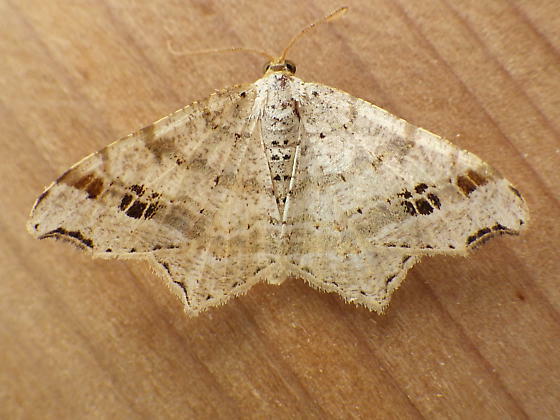 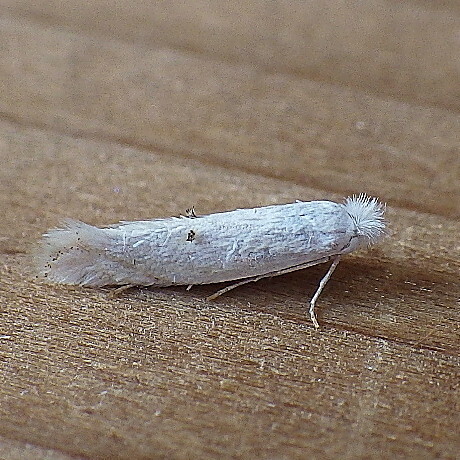 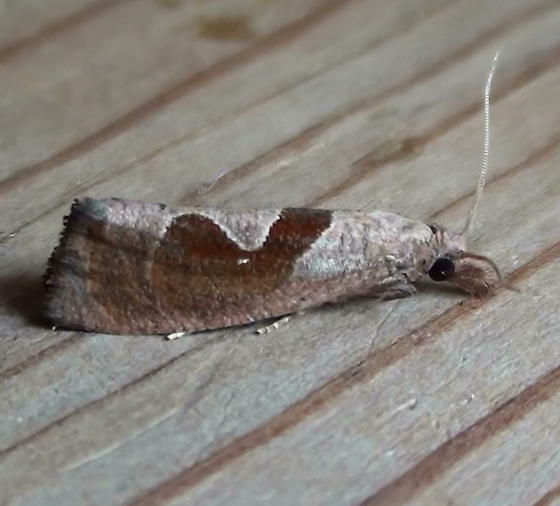 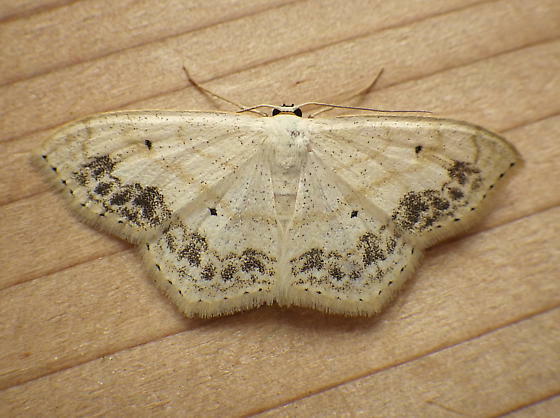 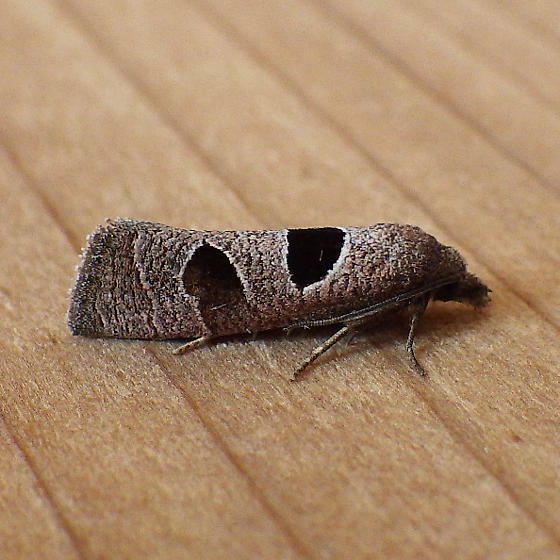 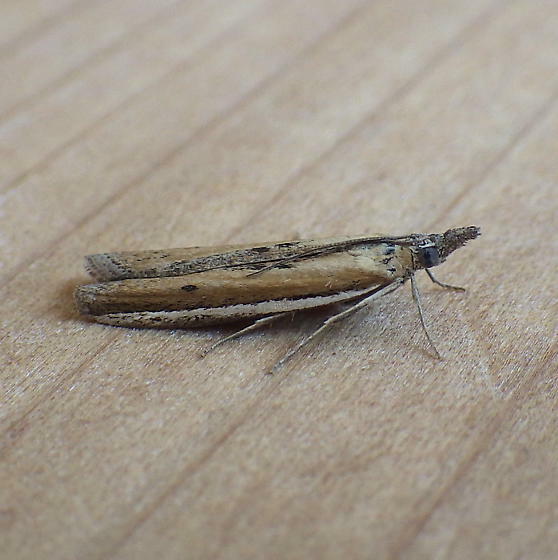 These images introduce selected examples of our local Olethreutine Moths (Family Tortricidae, Subfamily Olethreutinae). 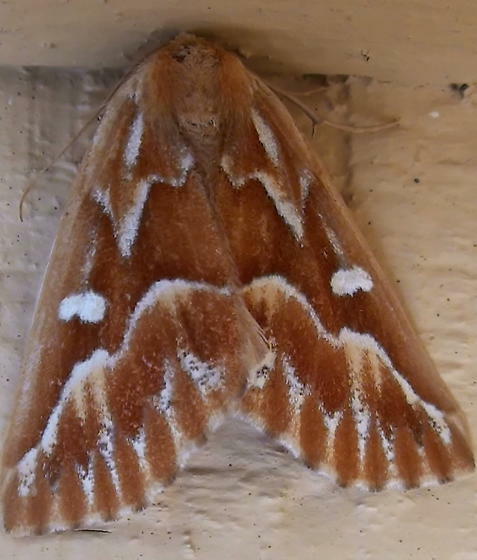 The 40 moth images shown here represent 15 genera and 38-40 different species, all of which were found and photographed in northeastern North Dakota. 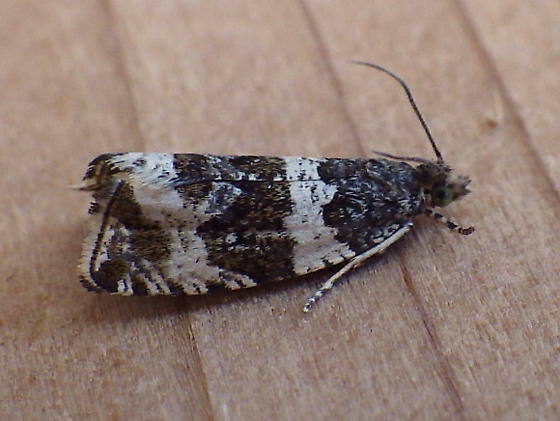 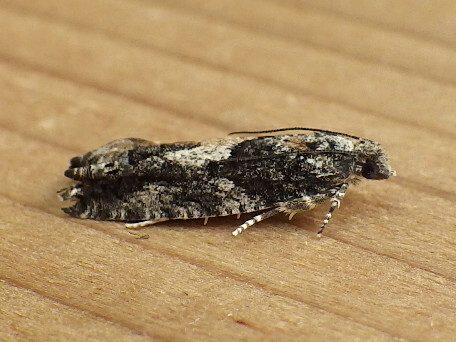 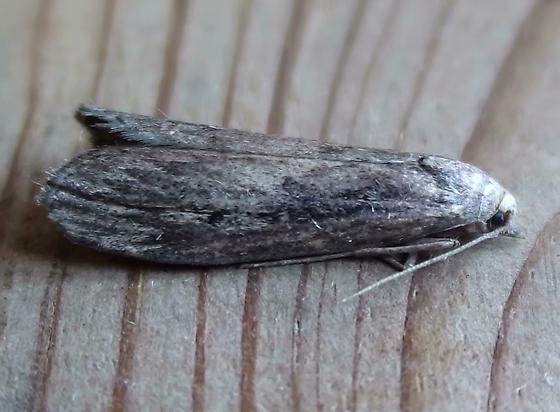 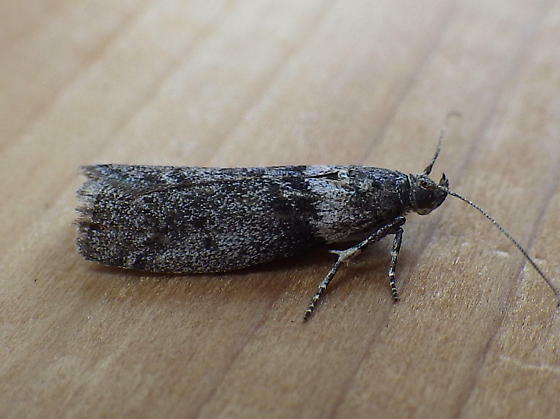 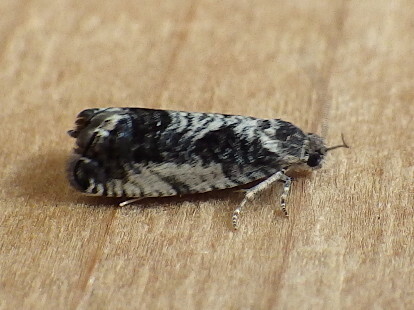 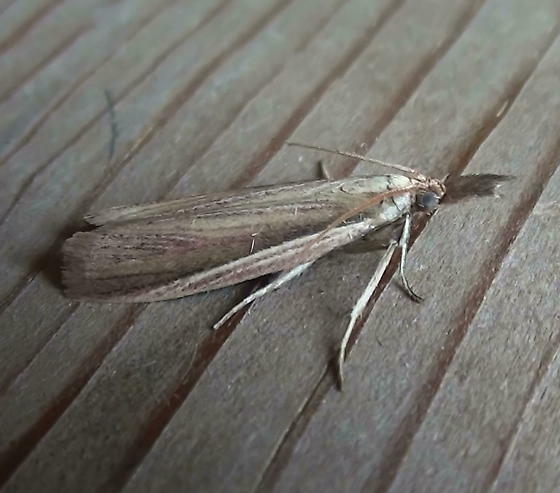 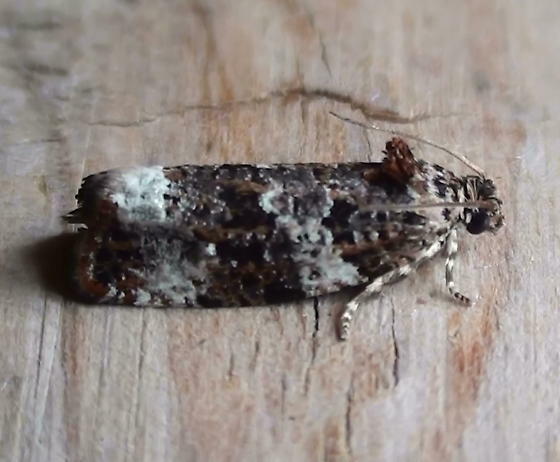 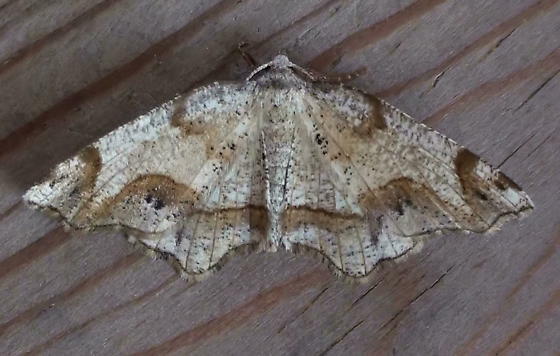 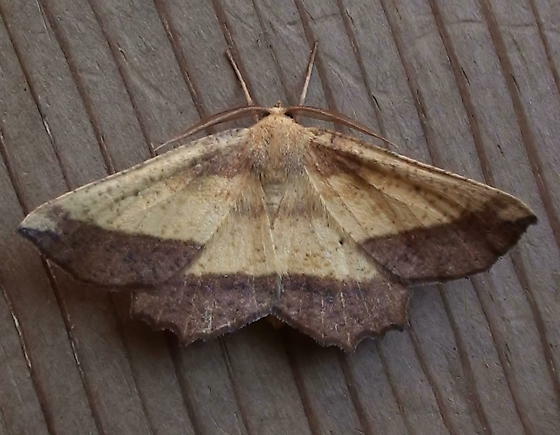 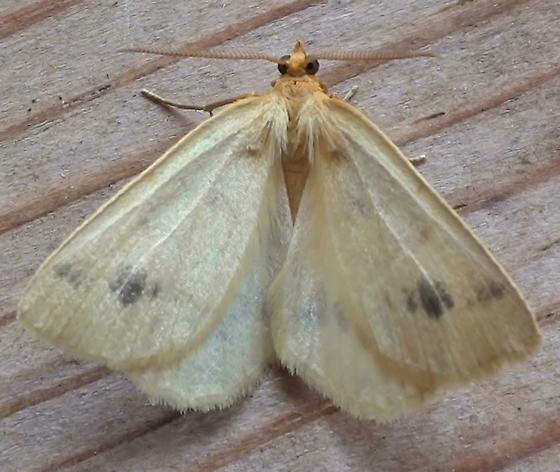 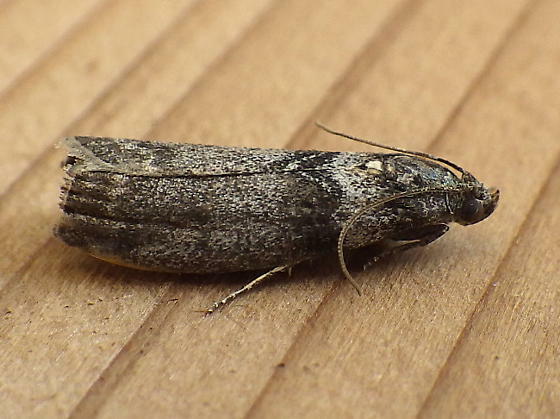 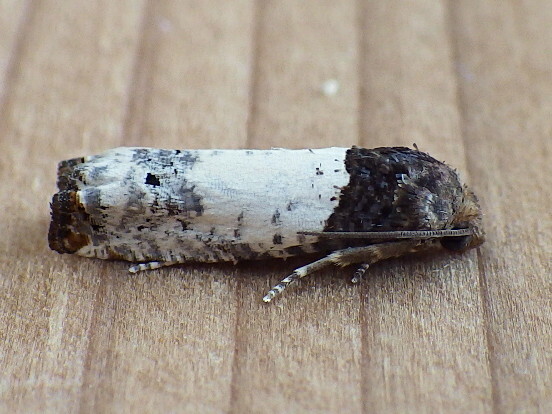 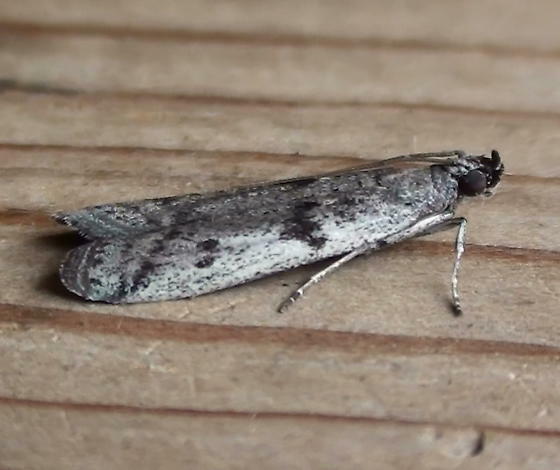 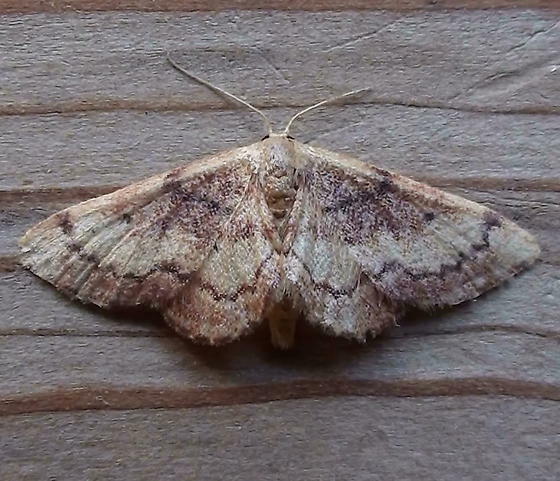 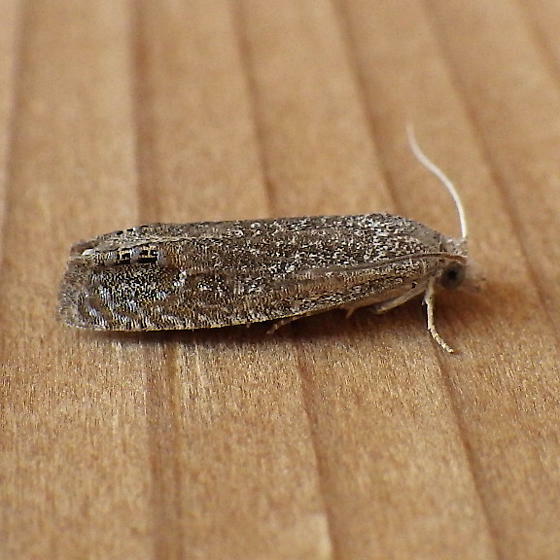 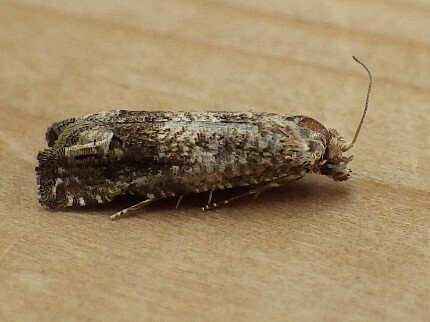 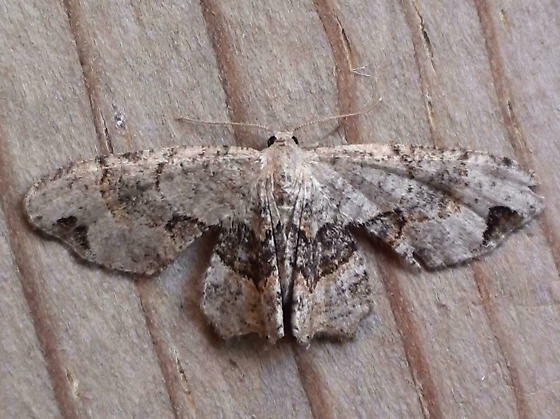 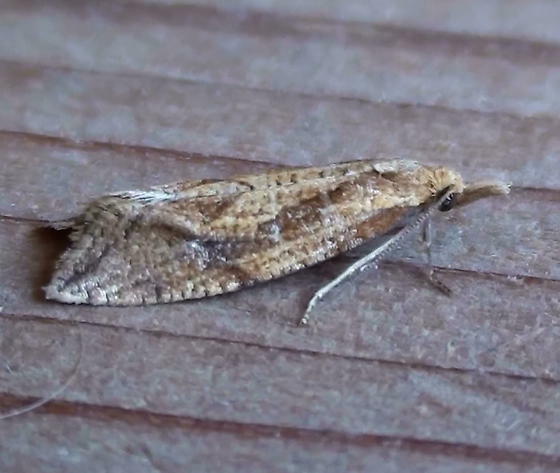 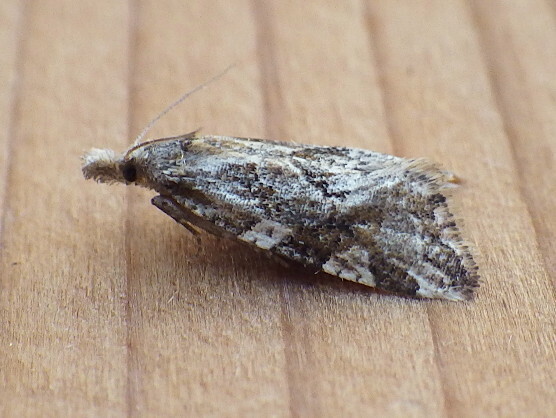 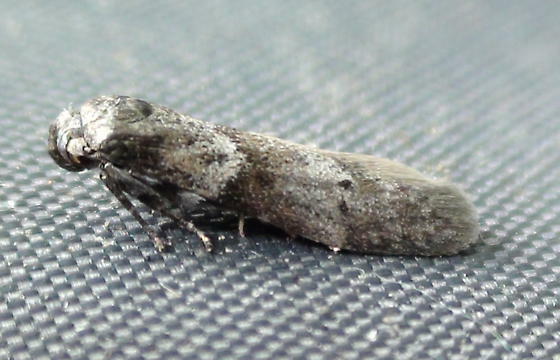 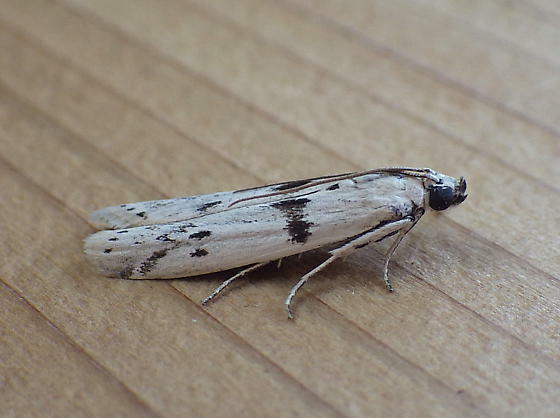 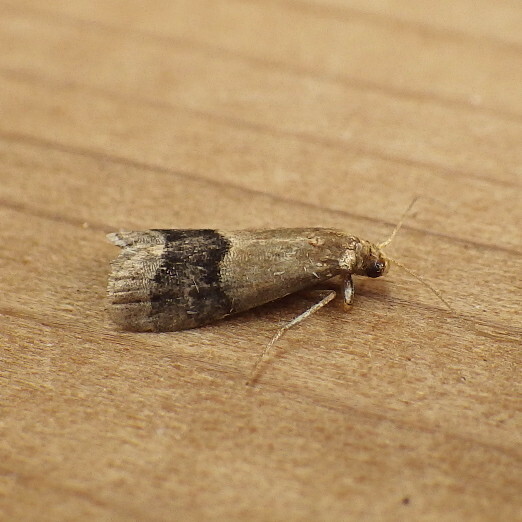 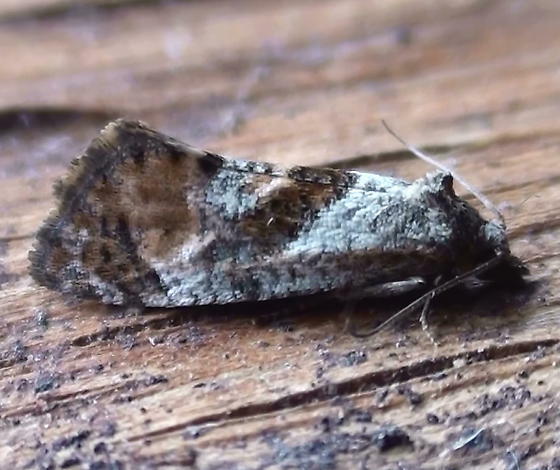 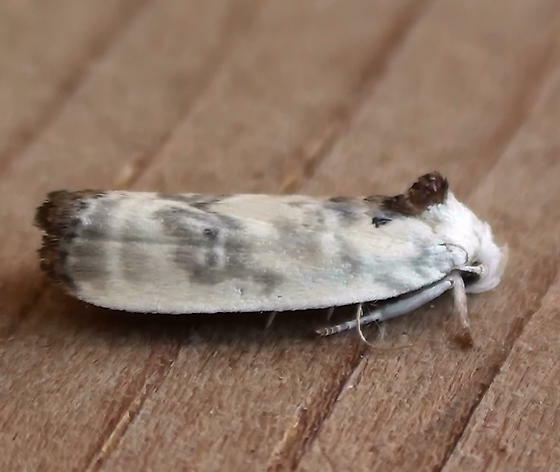 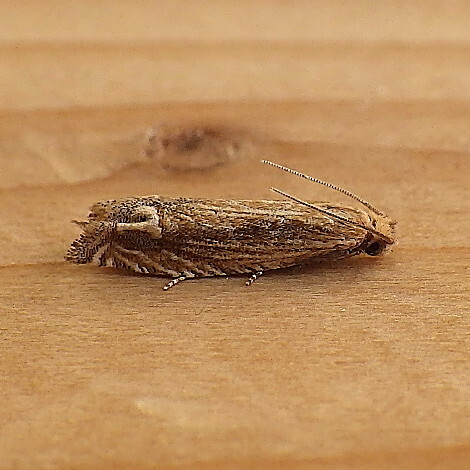 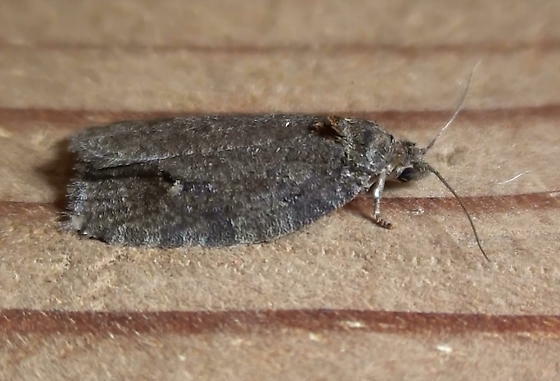 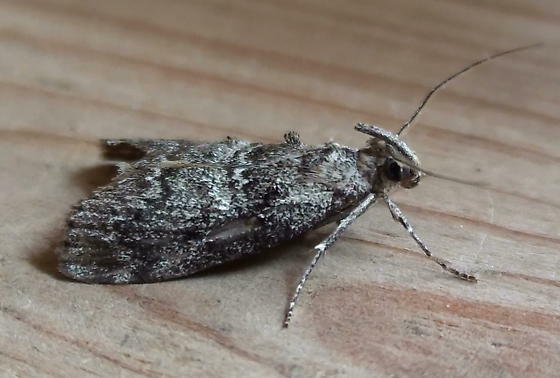 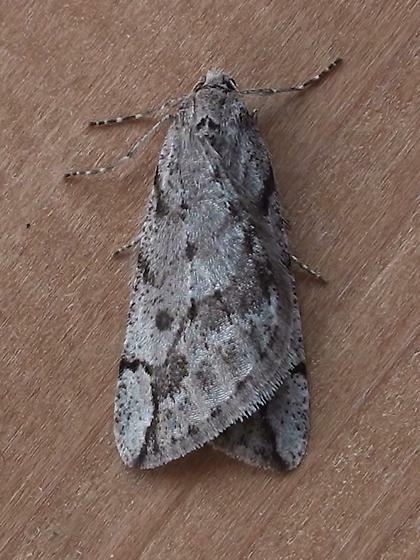 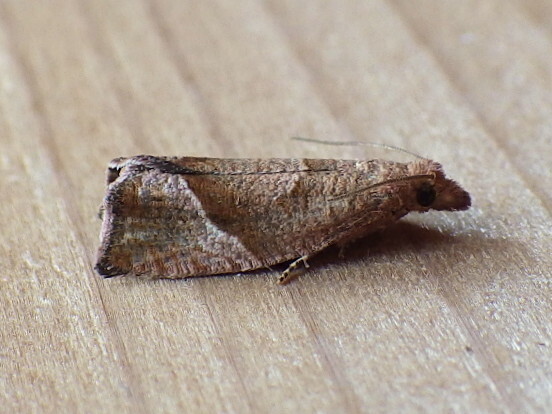 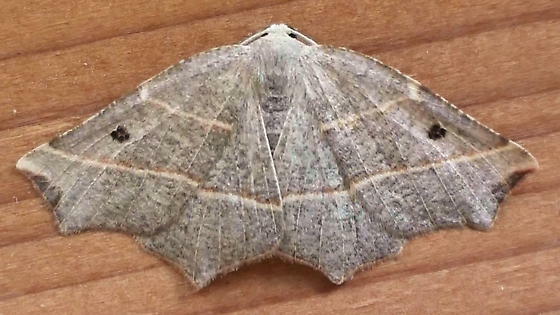 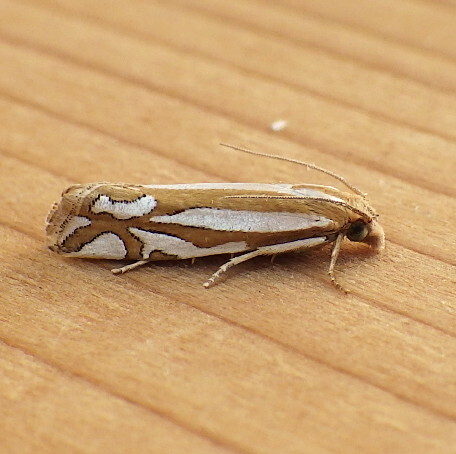 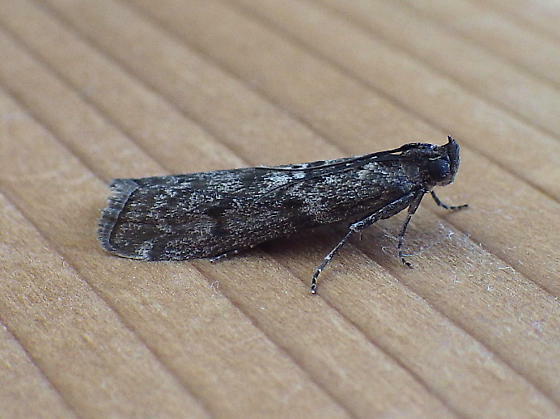 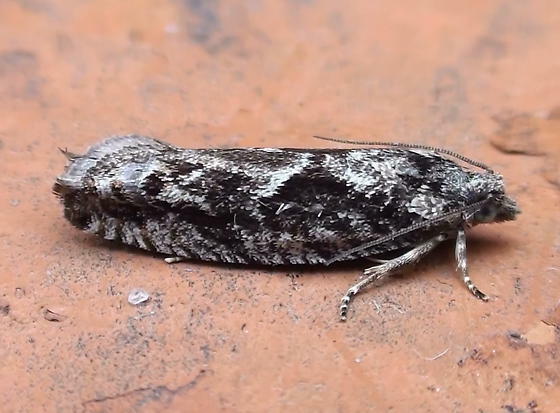 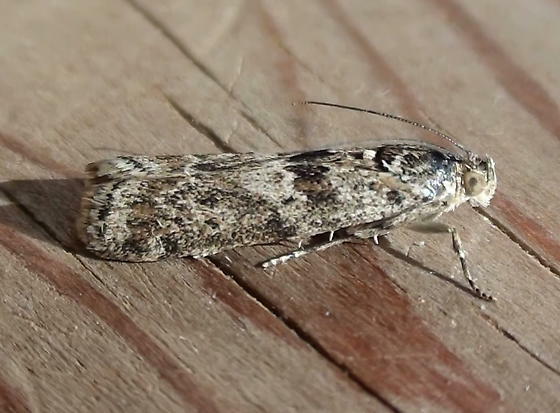 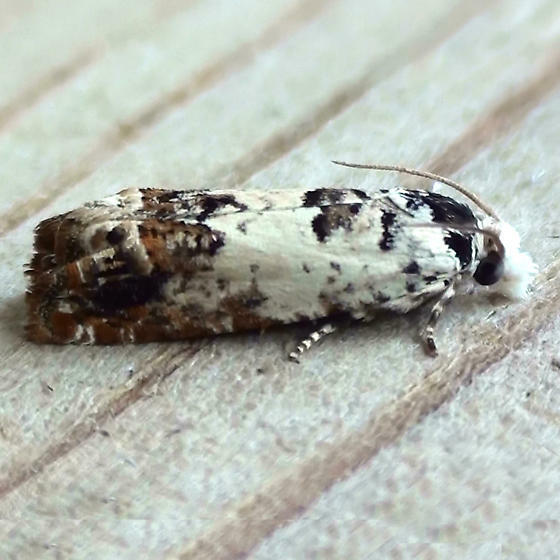 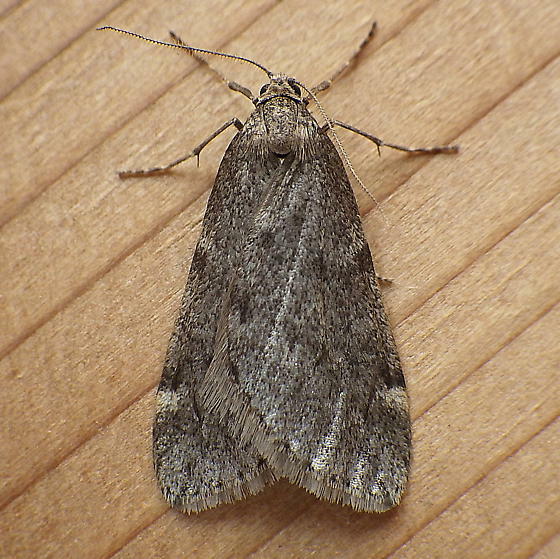 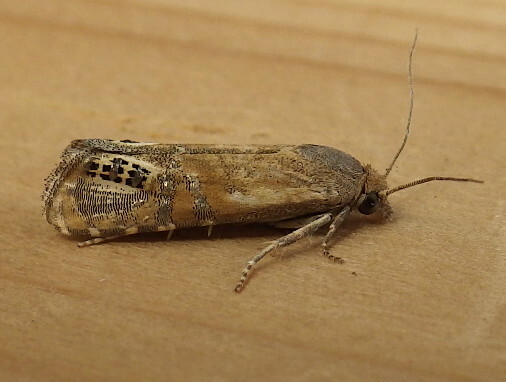 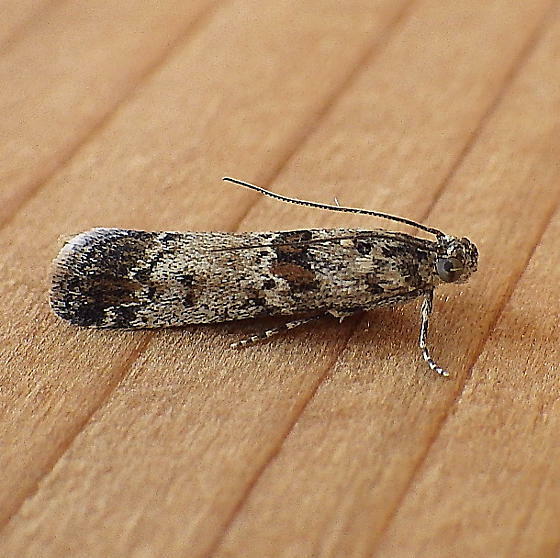 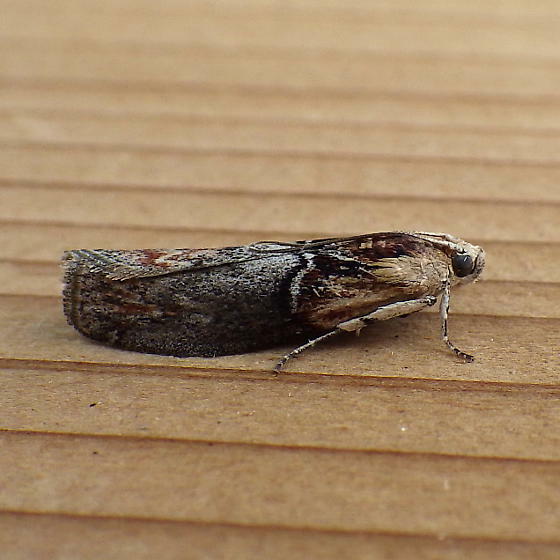 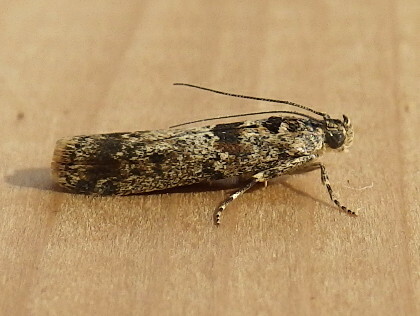 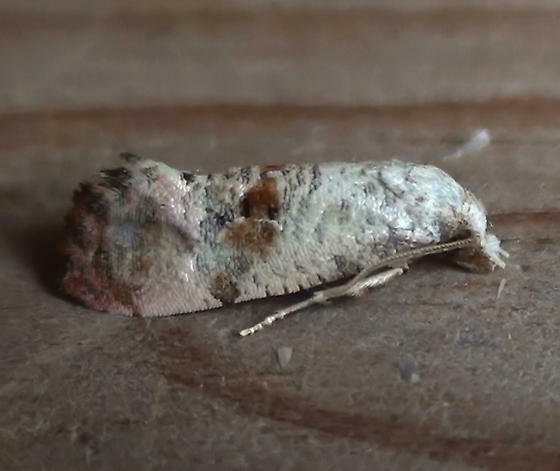 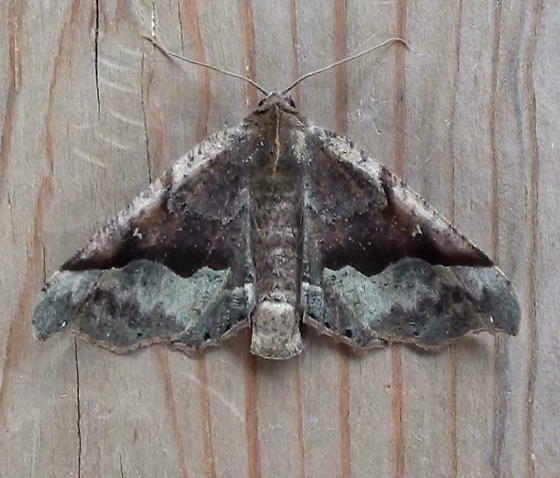 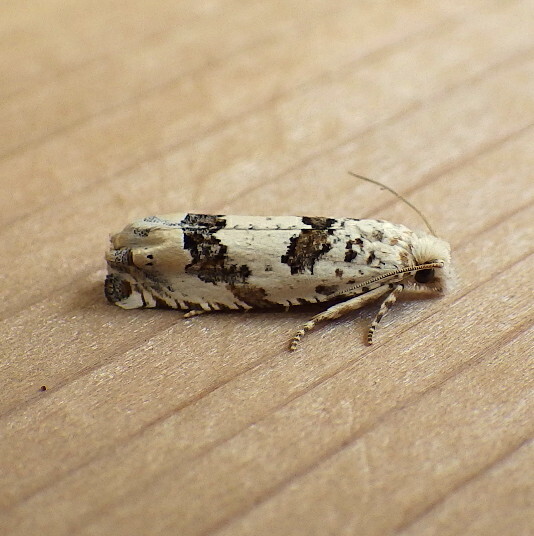 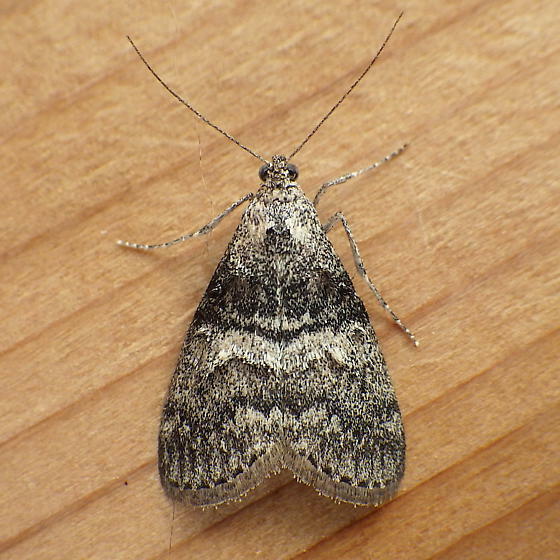 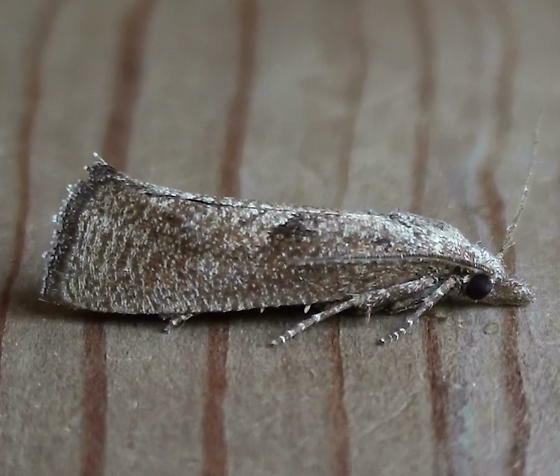 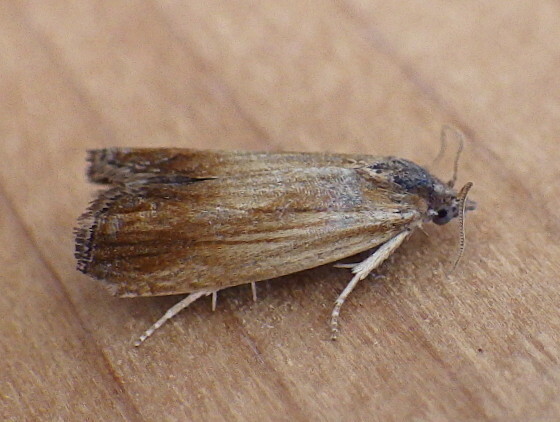 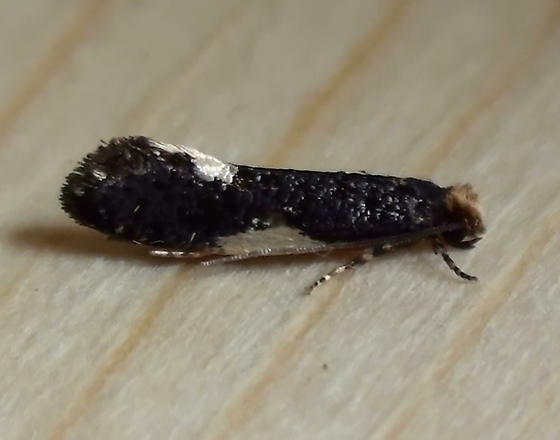 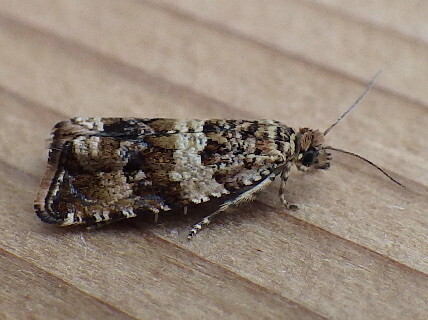 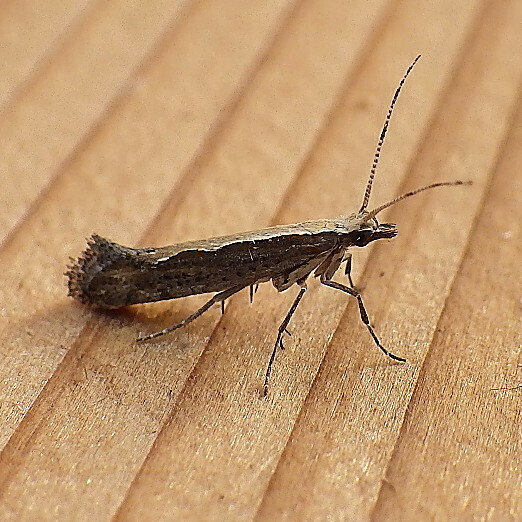 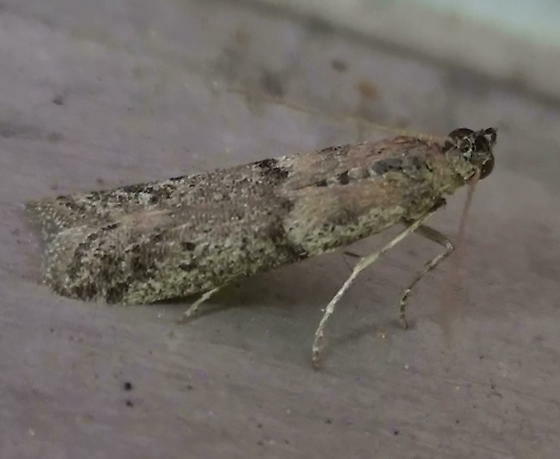 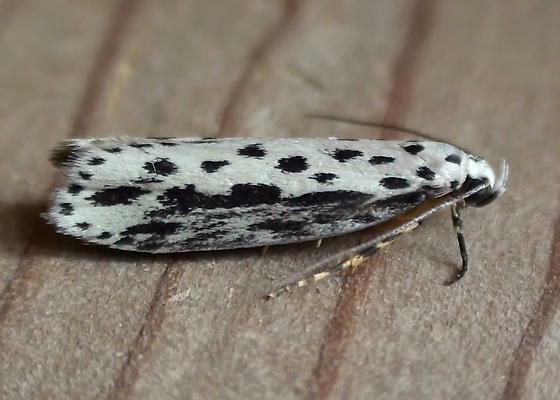 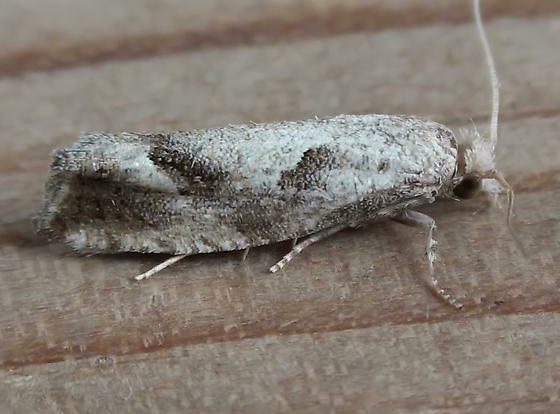 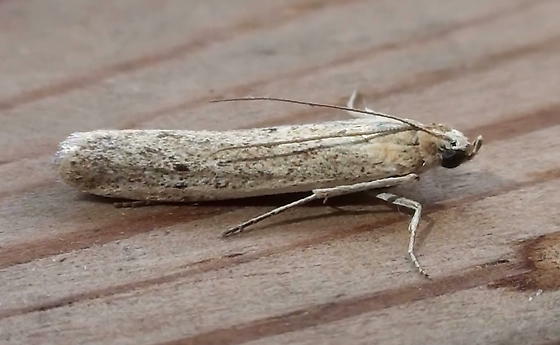 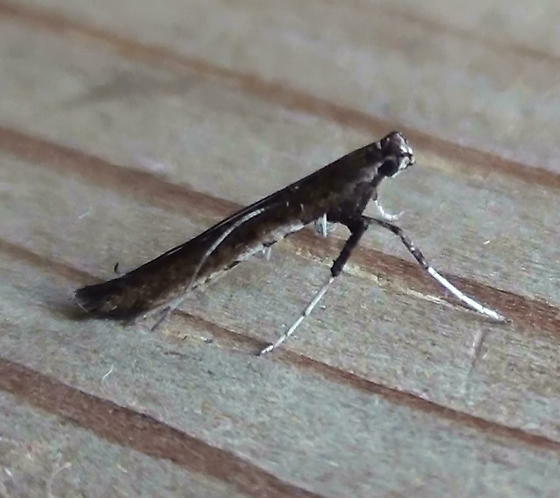 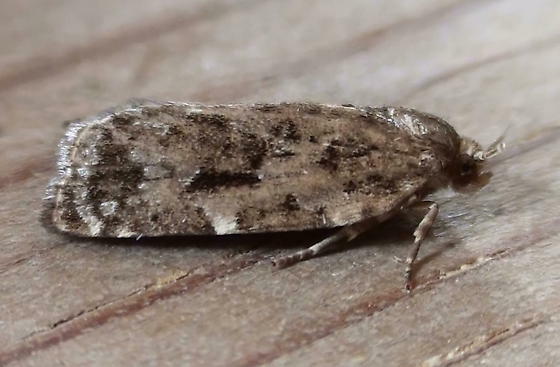 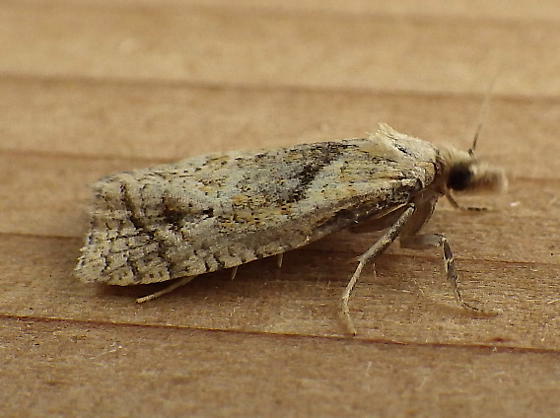 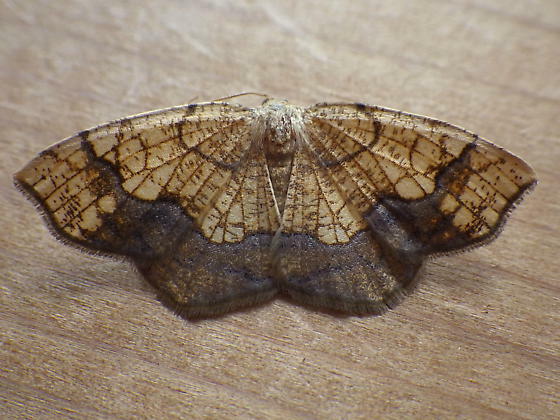 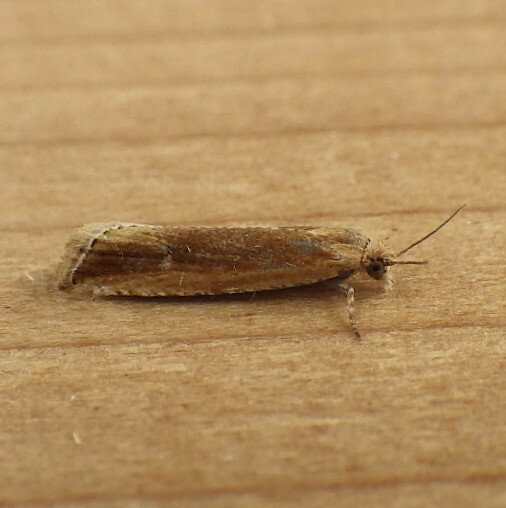 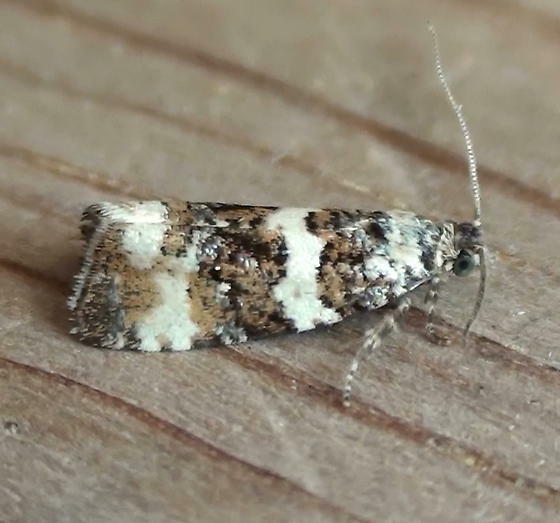 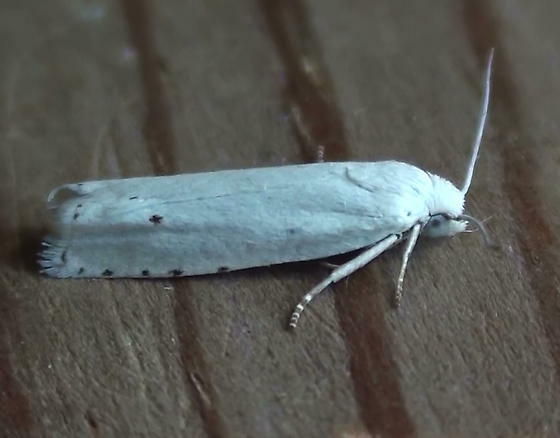 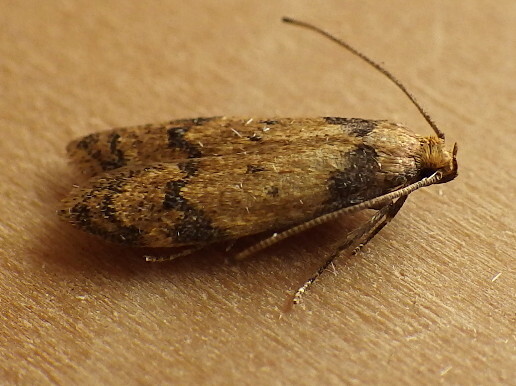 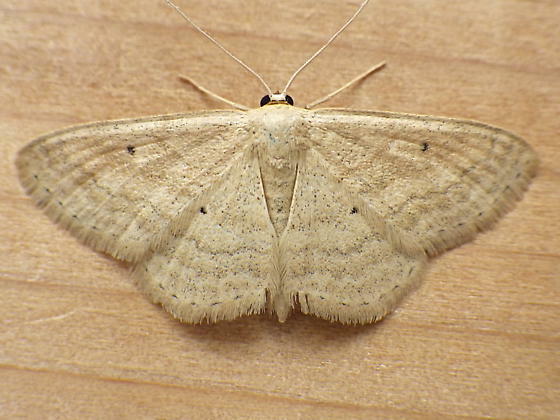 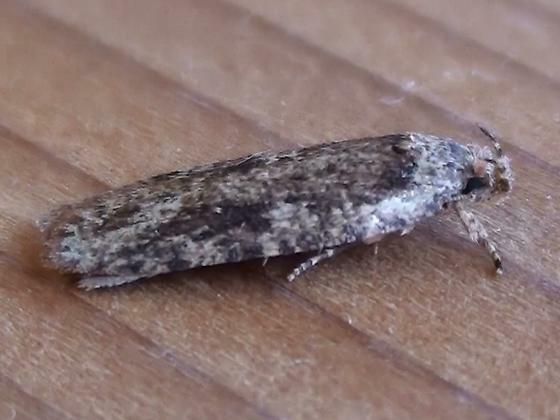 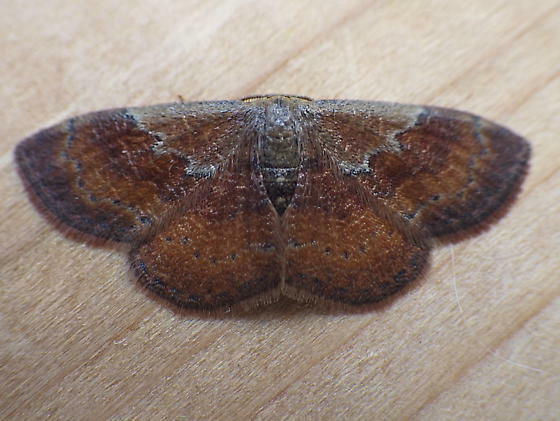 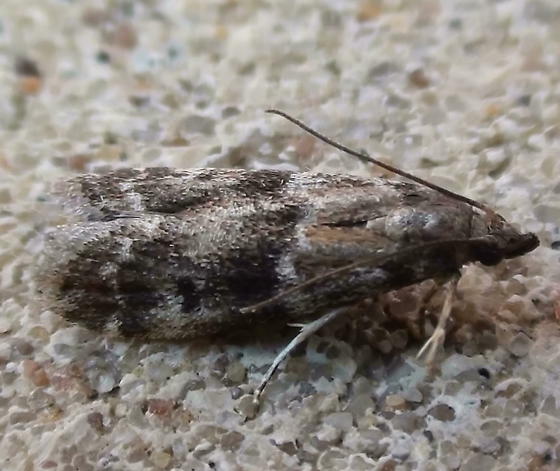 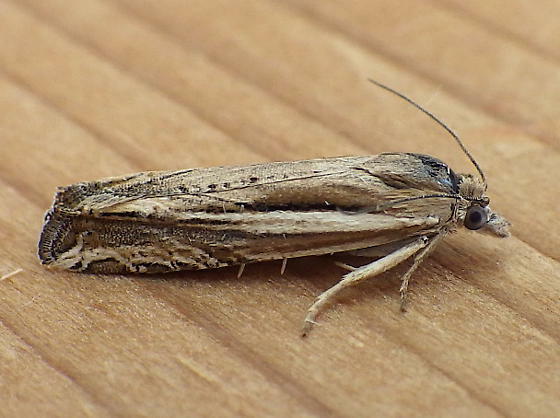 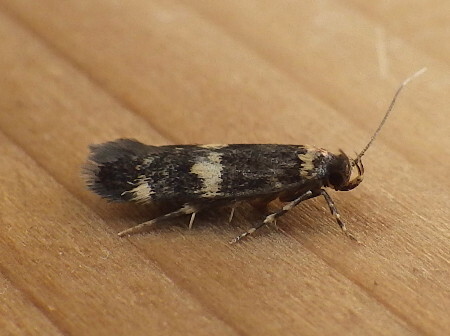 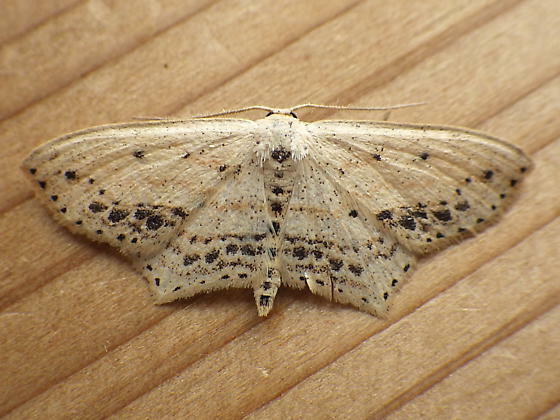 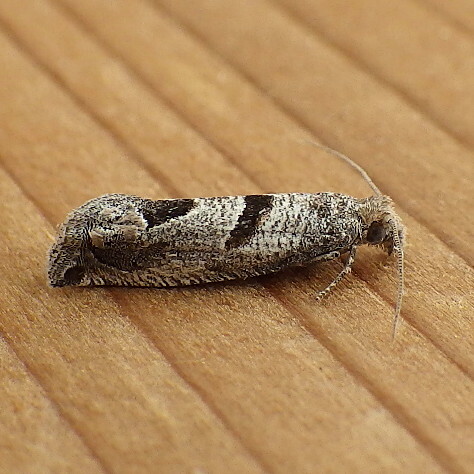 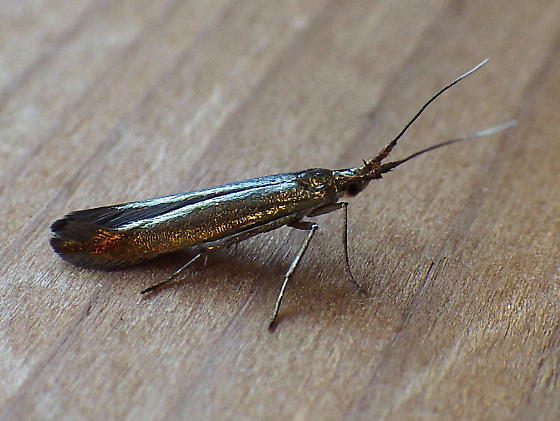 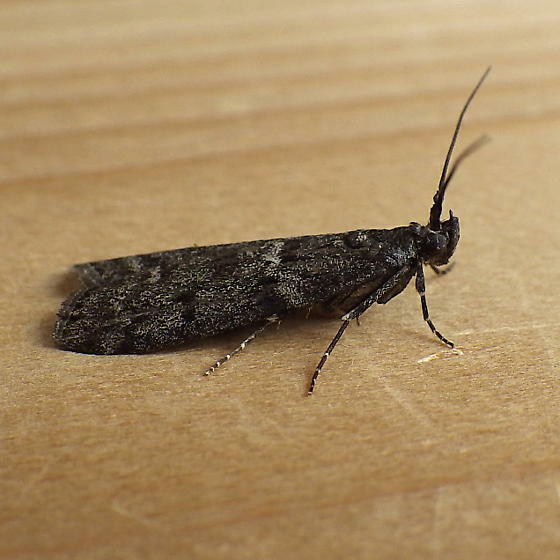 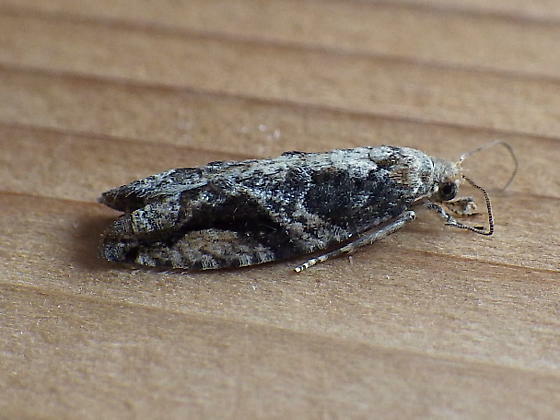 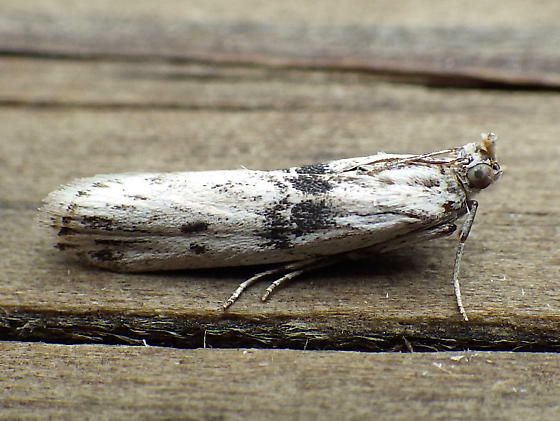 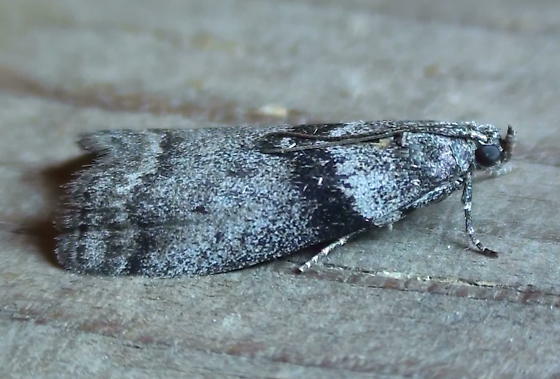 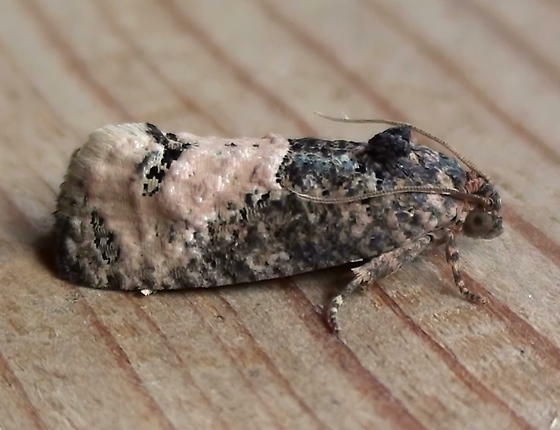 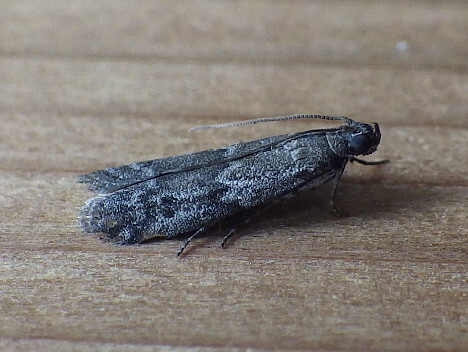 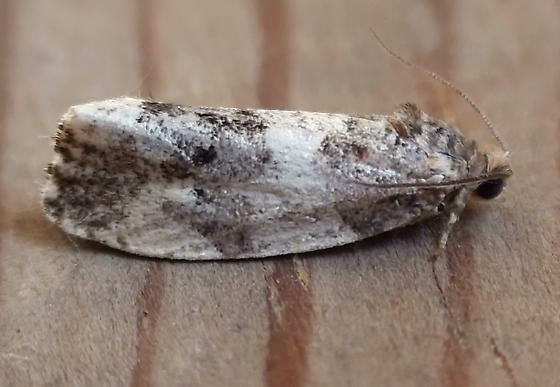 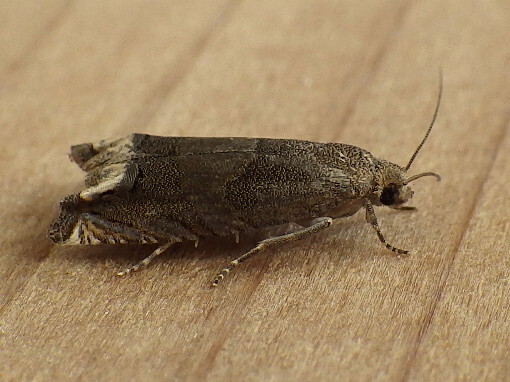 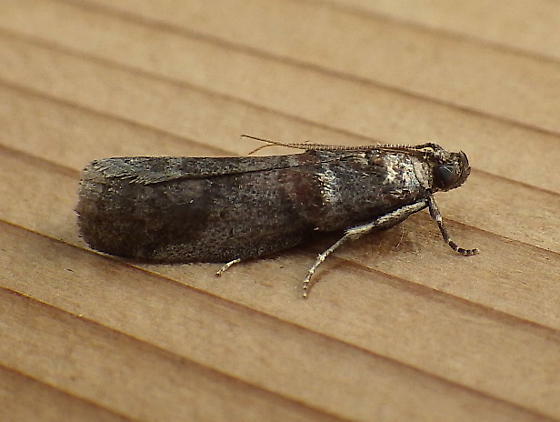 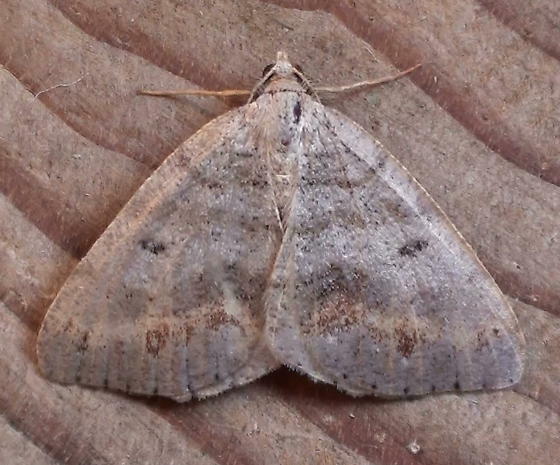 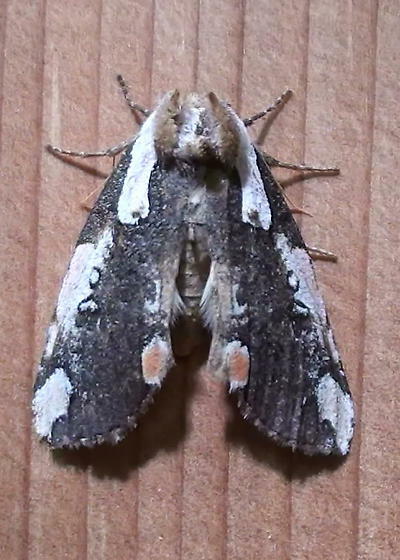 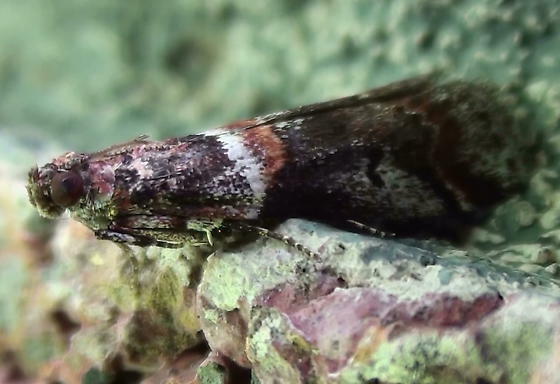 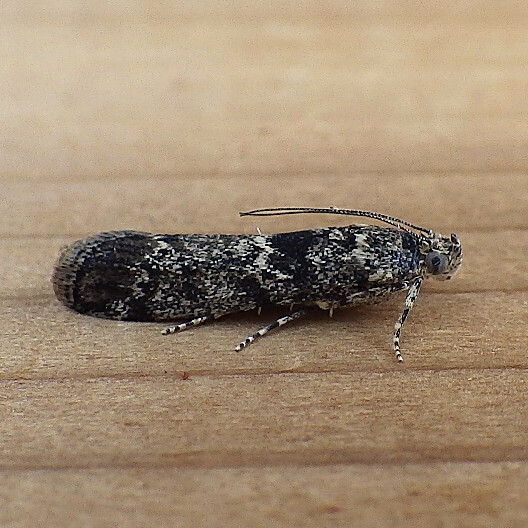 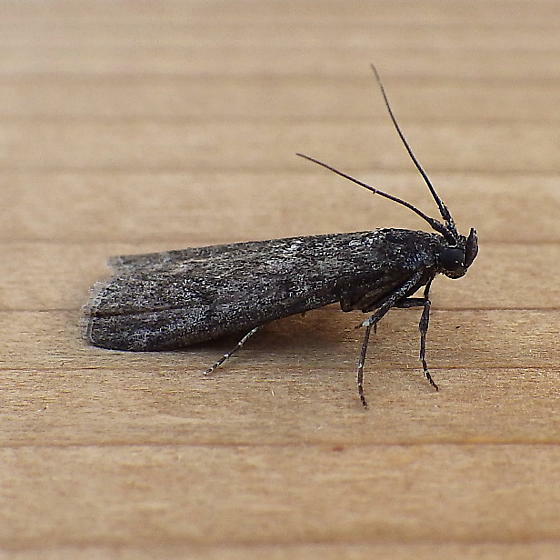 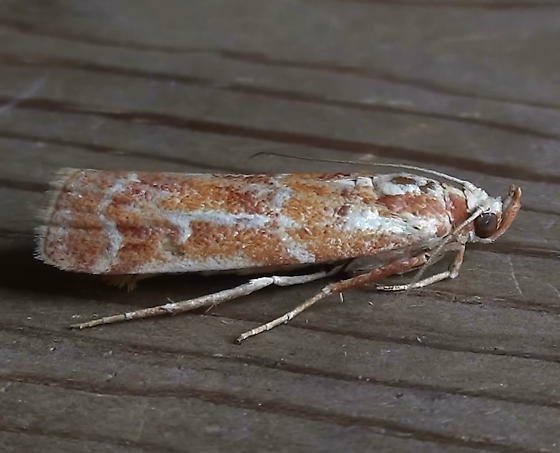 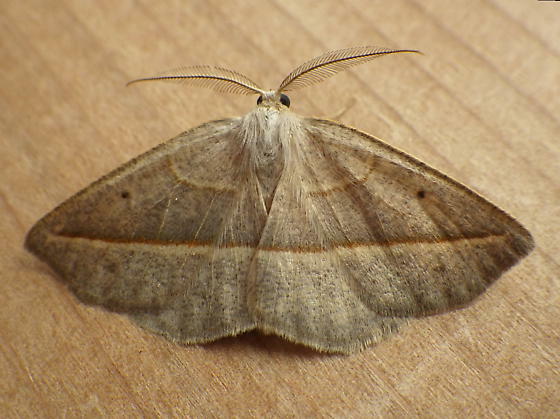 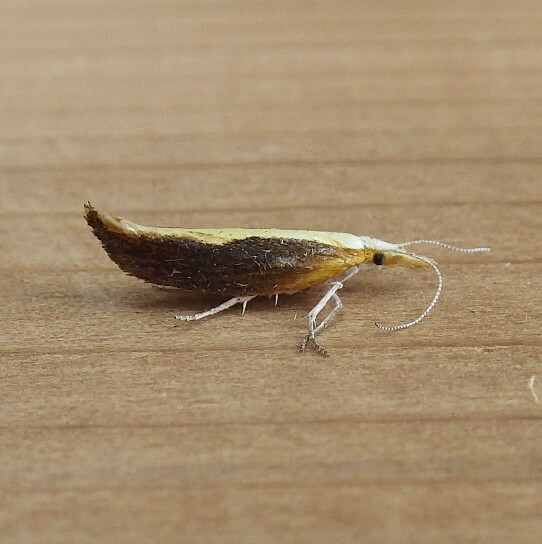 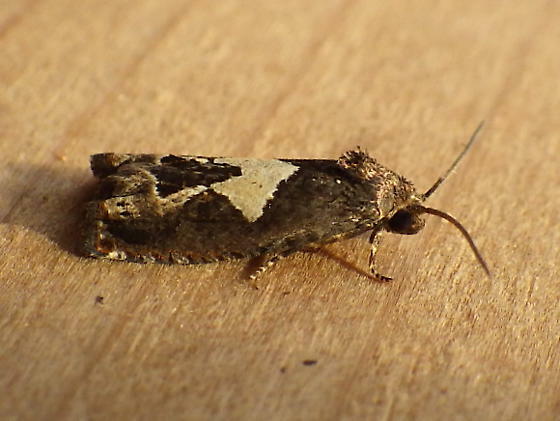 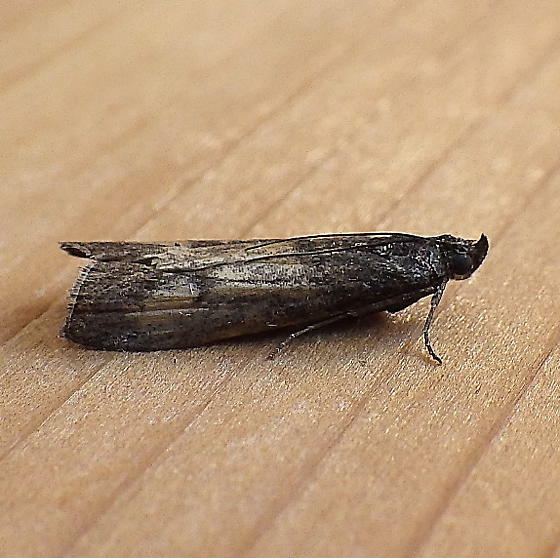 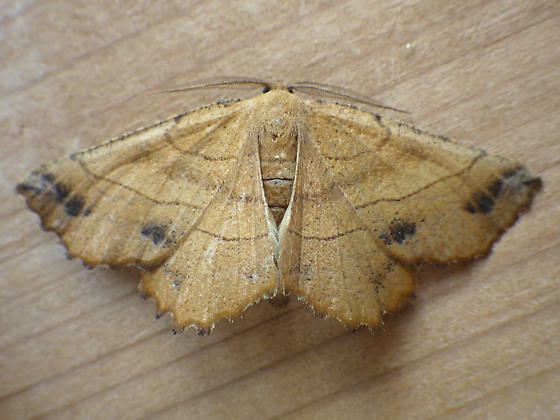 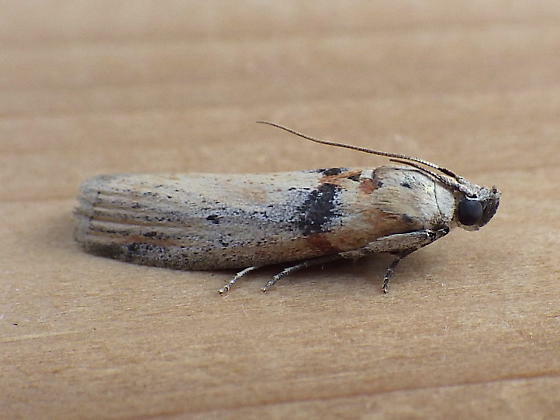 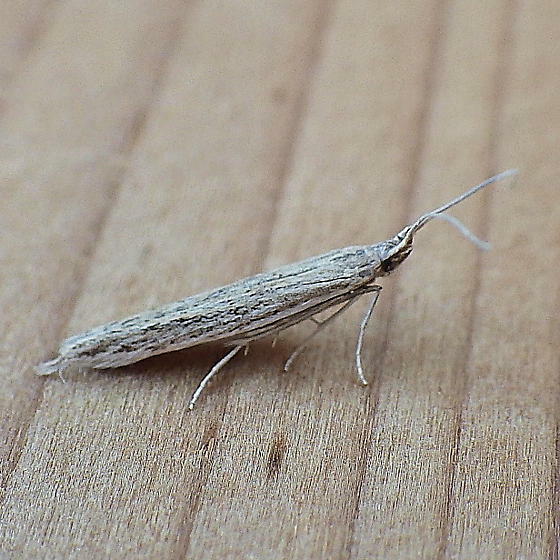 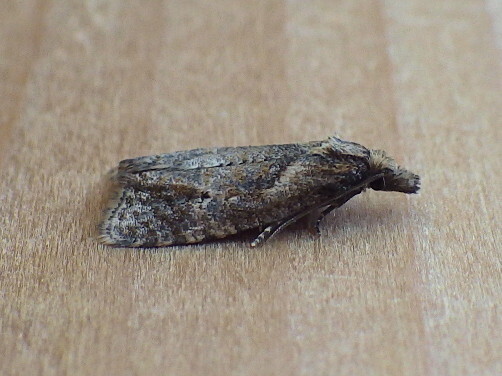 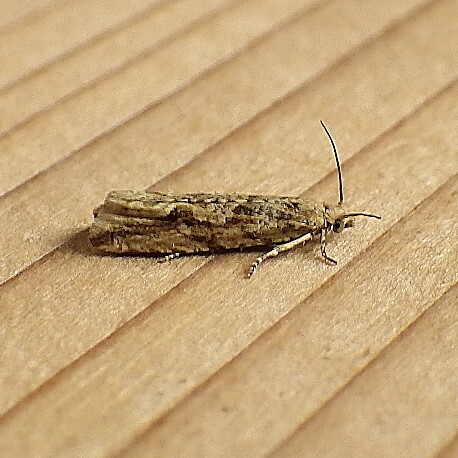 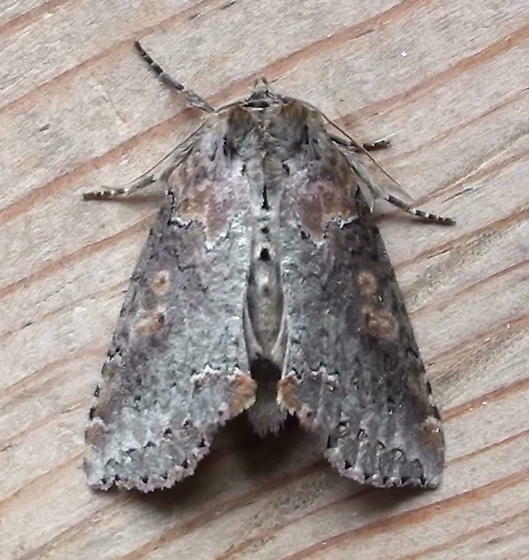 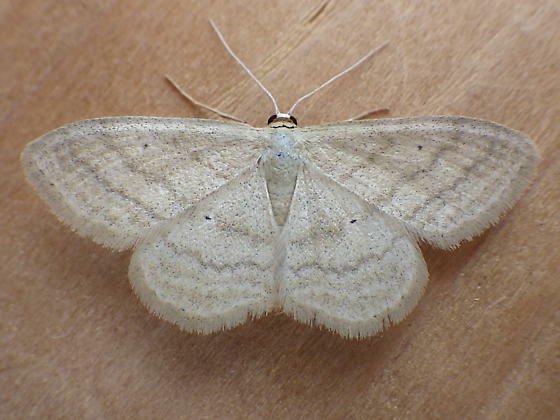 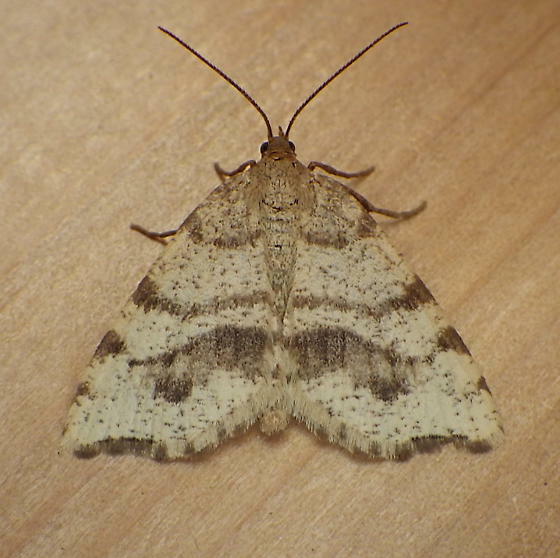 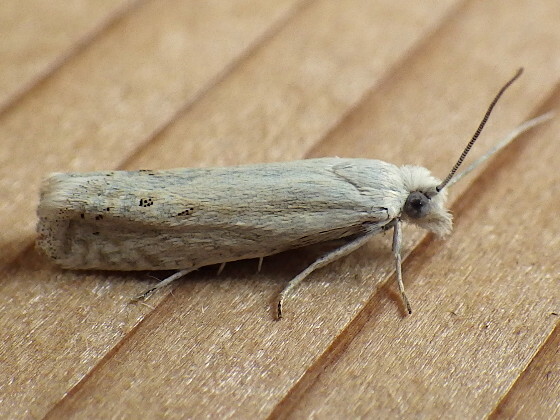 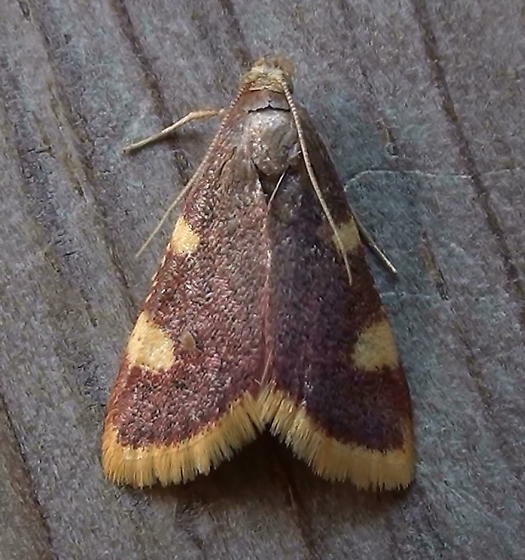 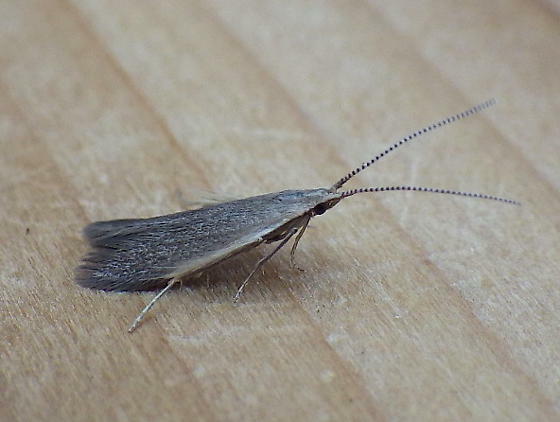 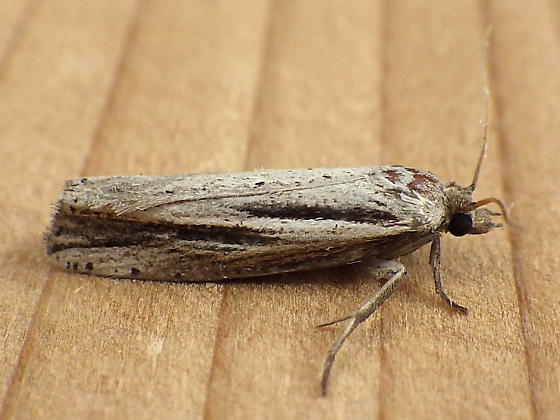 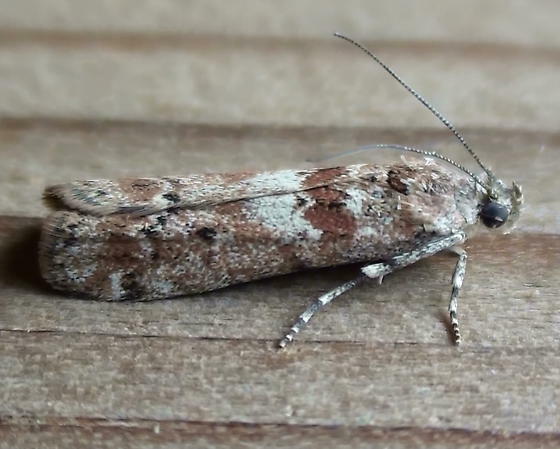 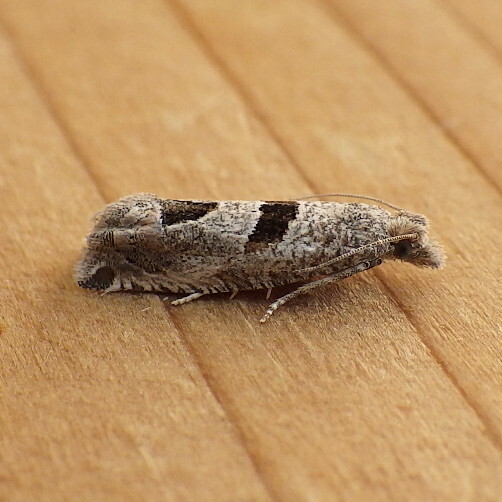 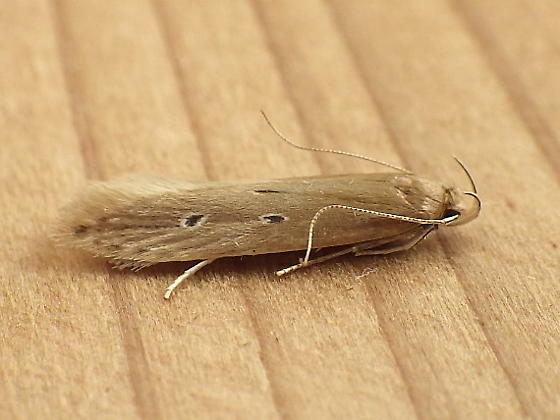 These photos introduce our local living fossil (Family Hepialidae) and selected local examples various micromoths (Families Tineidae, Bucculatricidae, Gracillariidae, Ypsolophidae, Plutellidae, and Elachistidae). 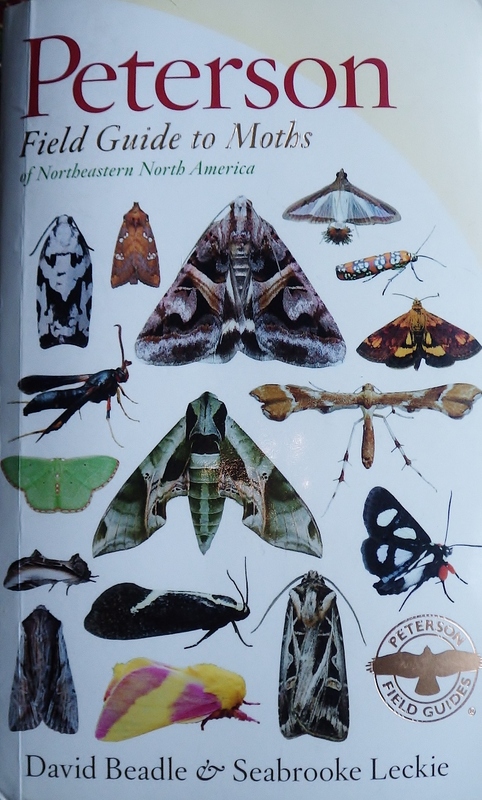 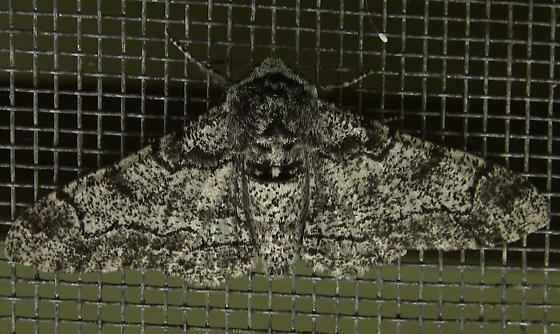 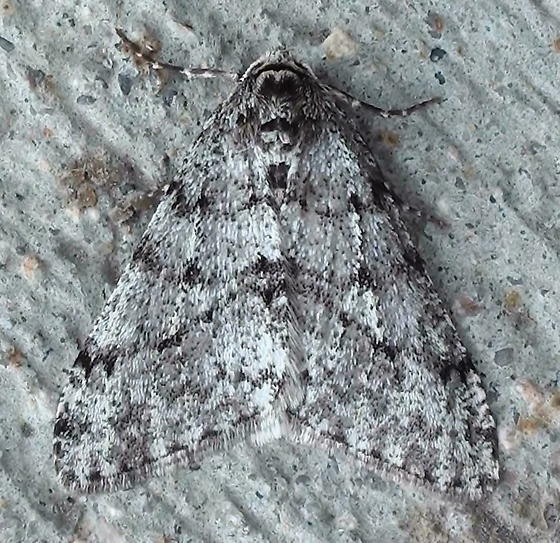 The 22 images shown here represent 18 genera and 22 moth species, all of which were found and photographed in either northeastern North Dakota or northwestern Minnesota.